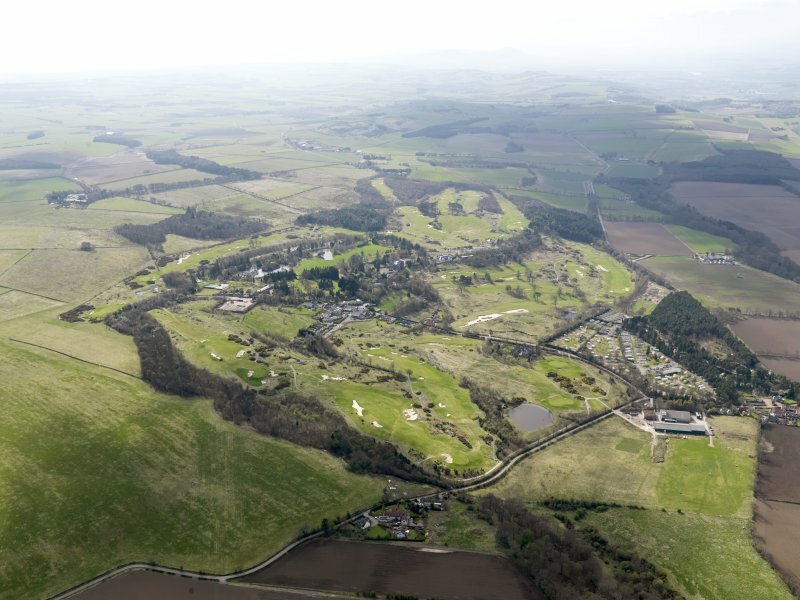 General oblique view of Craigtoun Park centred on The Duke's Golf Course, taken from the N.
General oblique view of Craigtoun Park centred on The Duke's Golf Course, taken from the SSW. 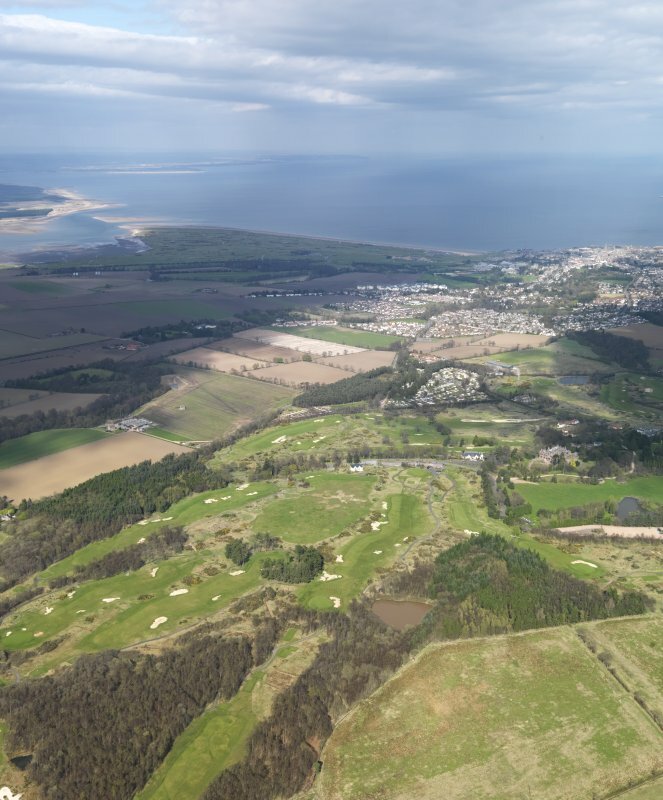 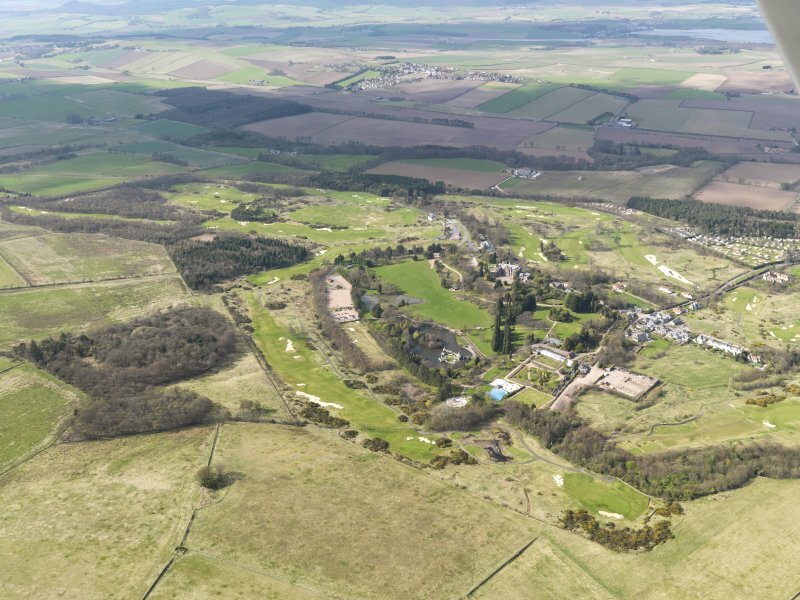 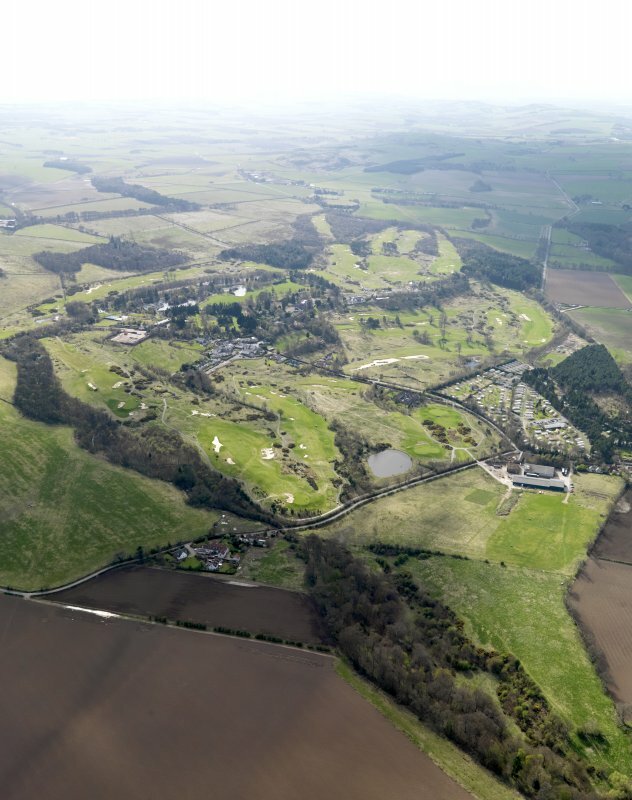 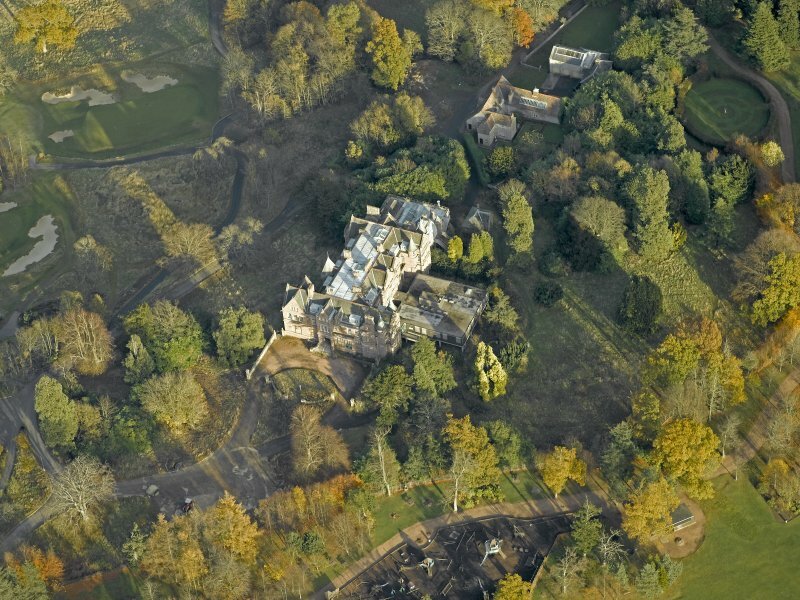 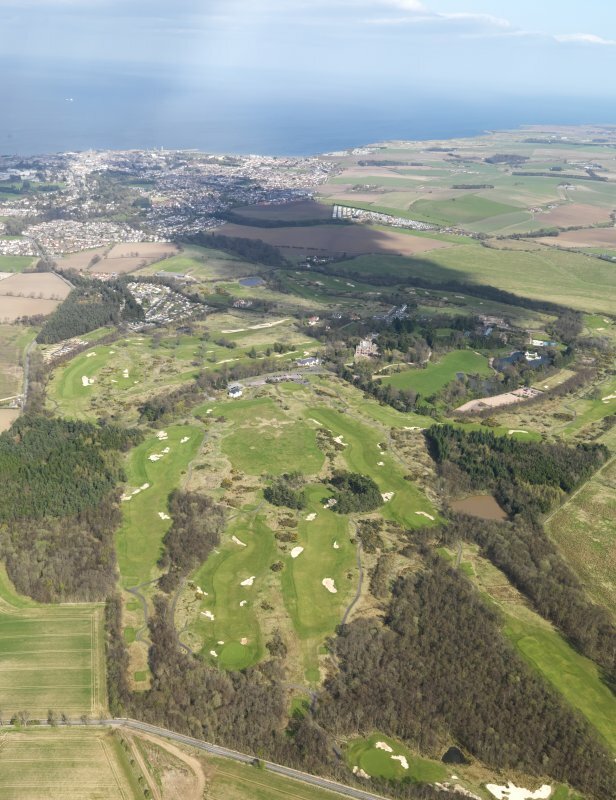 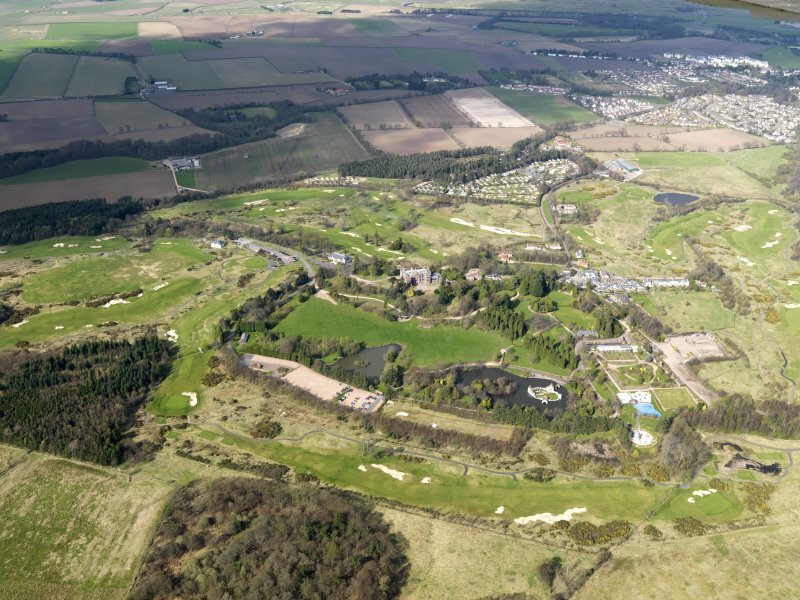 General oblique view of Craigtoun Park centred on The Duke's Golf Course, taken from the SSE. 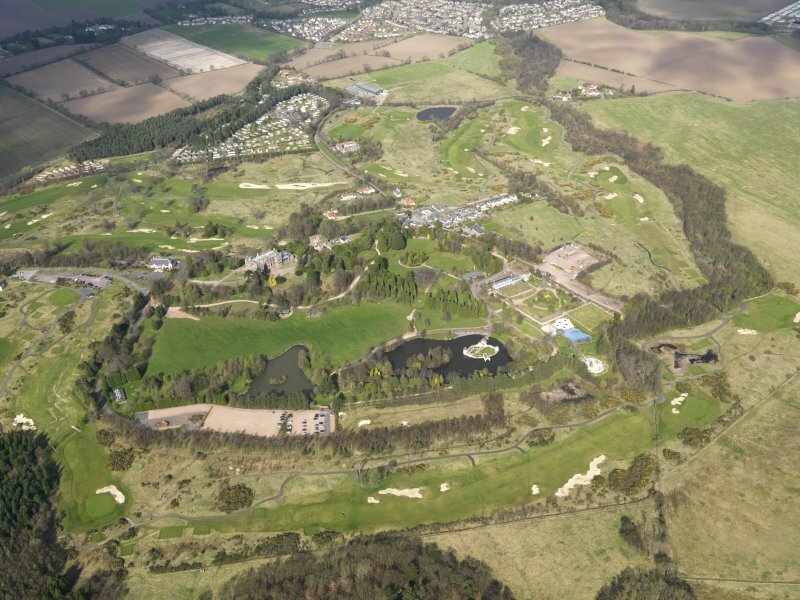 General oblique view of Craigtoun Park centred on The Duke's Golf Course, taken from the S.
General oblique aerial view of the park, taken from the SW.
General oblique view of Craigtoun Park centred on The Duke's Golf Course, taken from the SW.
General oblique view of Craigtoun Park centred on The Duke's Golf Course, taken from the ENE. 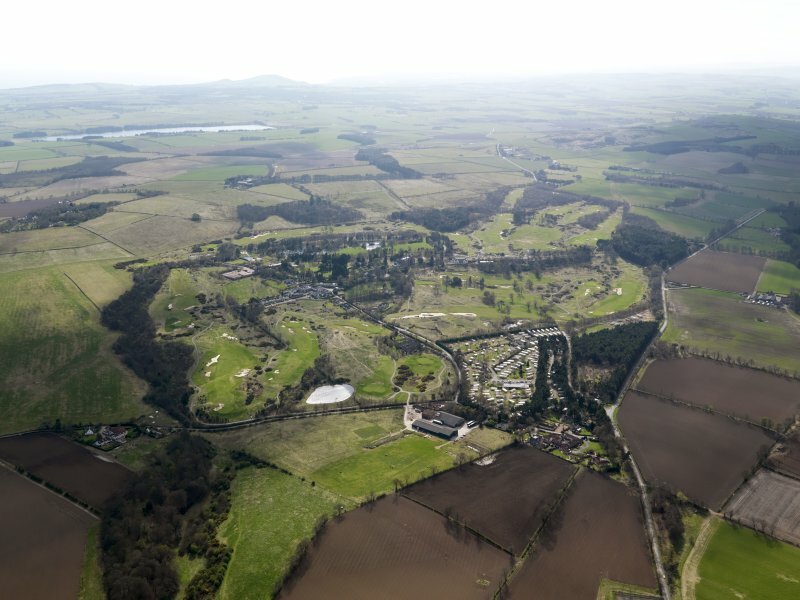 General oblique aerial view of the park, taken from the SE. 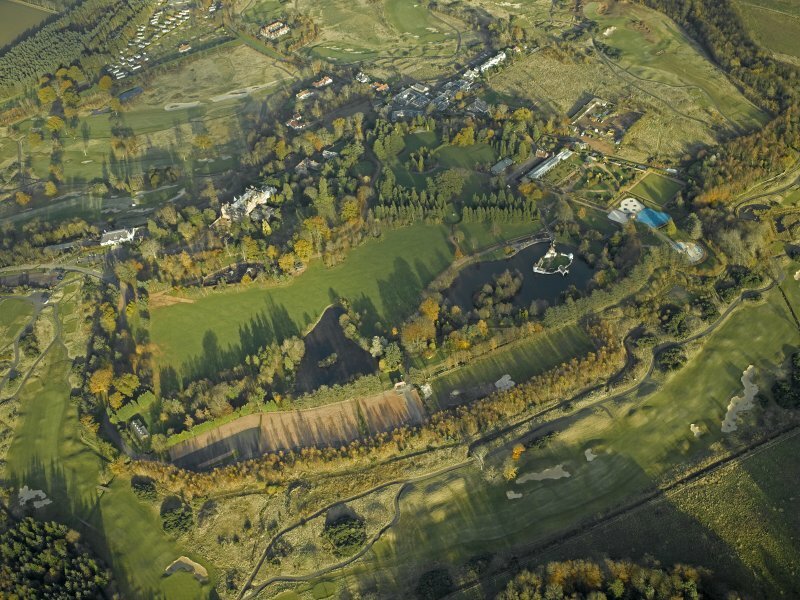 General oblique aerial view of the park, taken from the WSW. 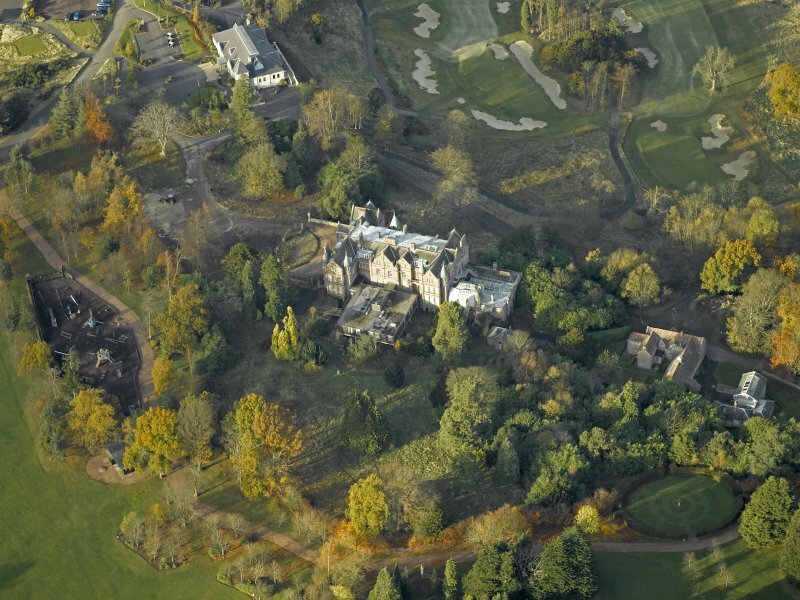 Oblique aerial view centred on the clubhouse with the house adjacent, taken from the SE. 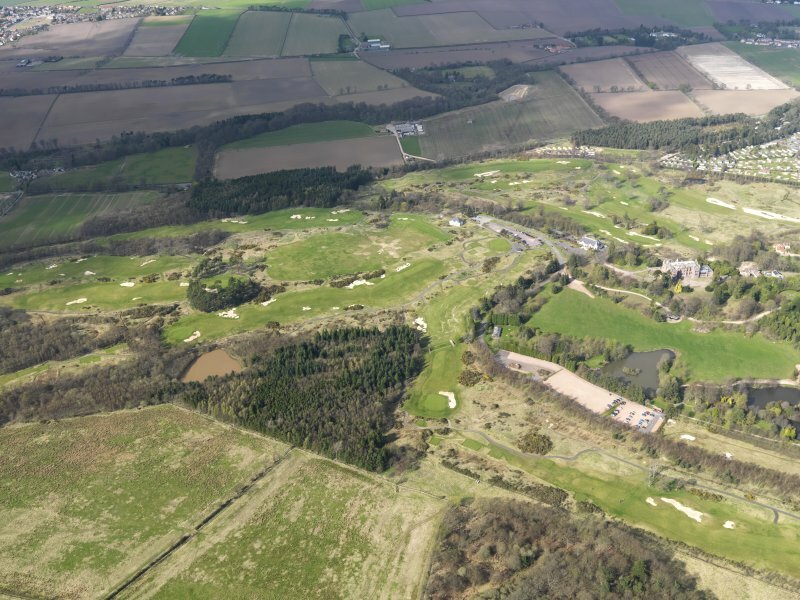 General oblique view of Craigtoun Park centred on The Duke's Golf Course, taken from the NE. 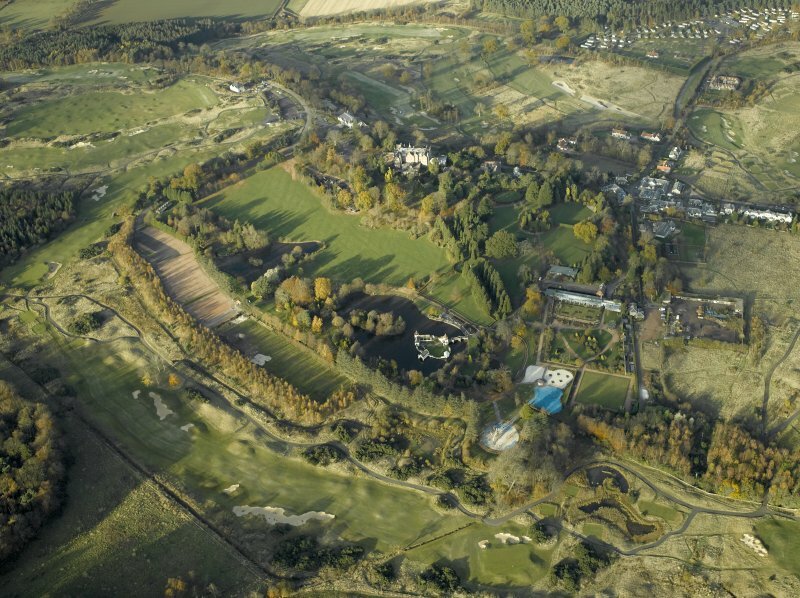 Oblique aerial view centred on the house with the clubhouse adjacent, taken from the NNW. 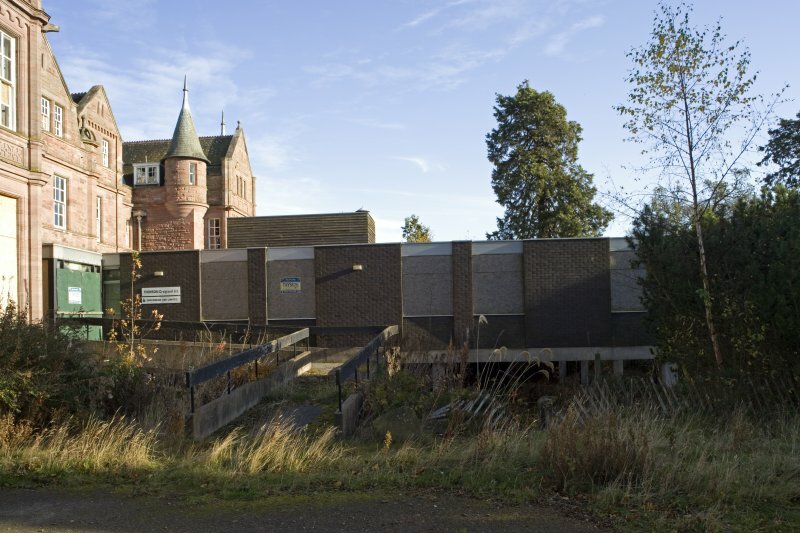 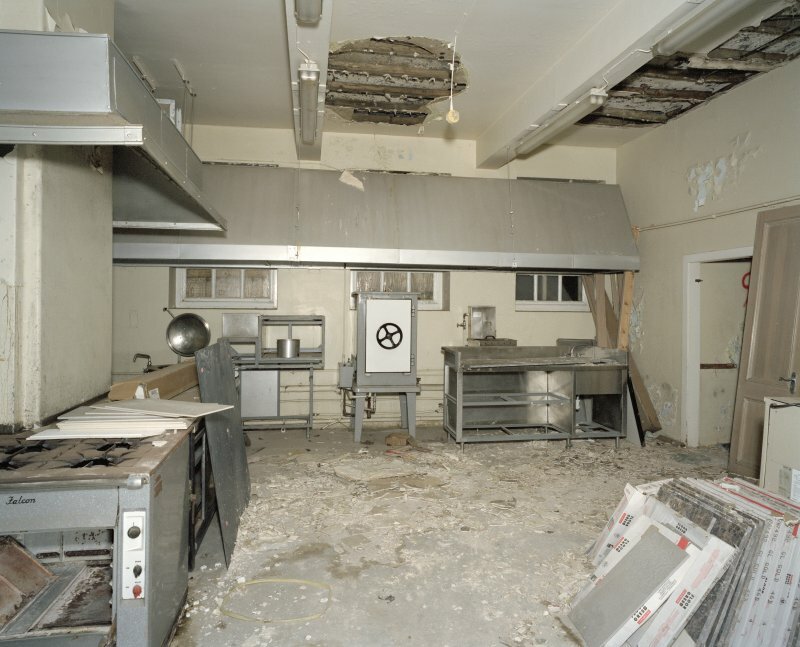 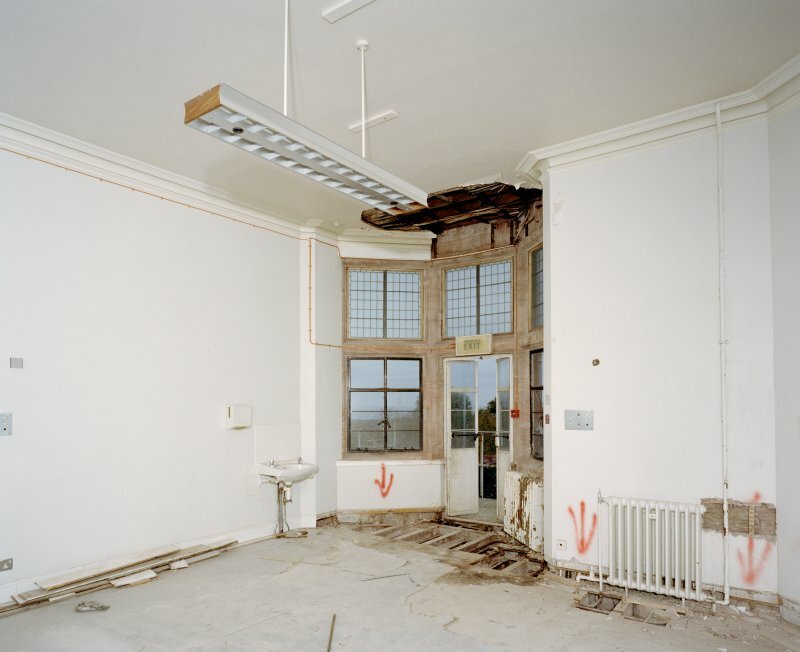 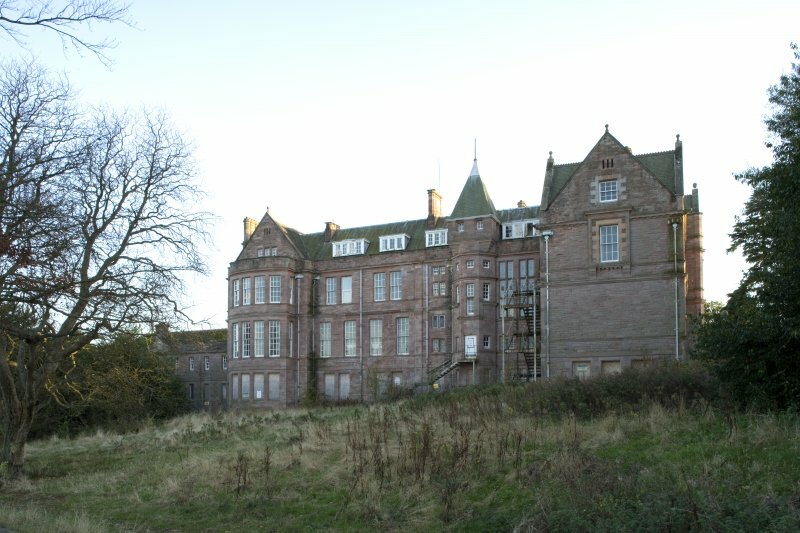 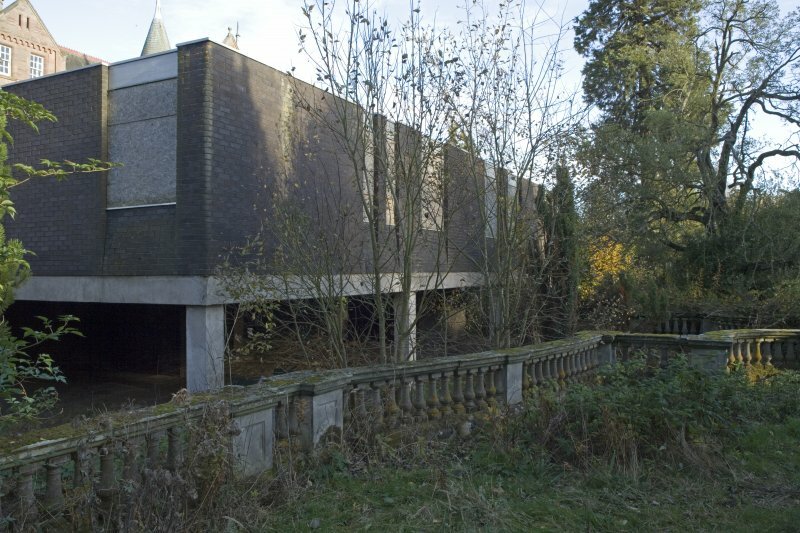 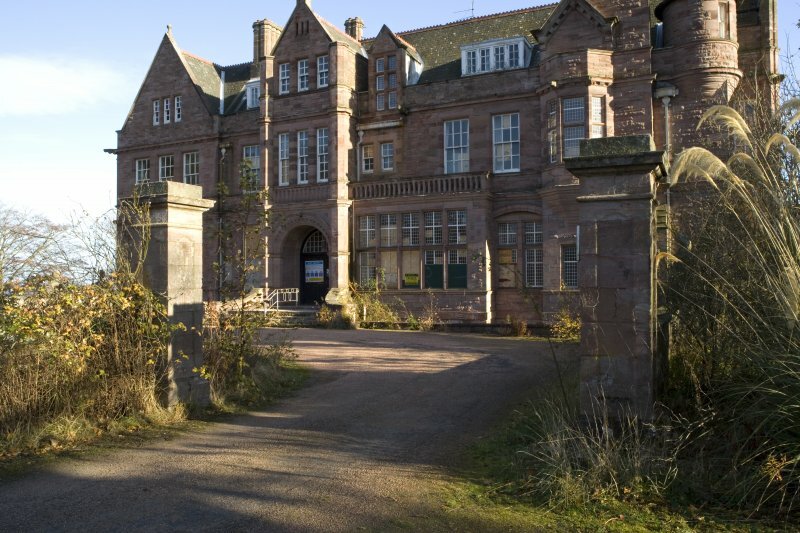 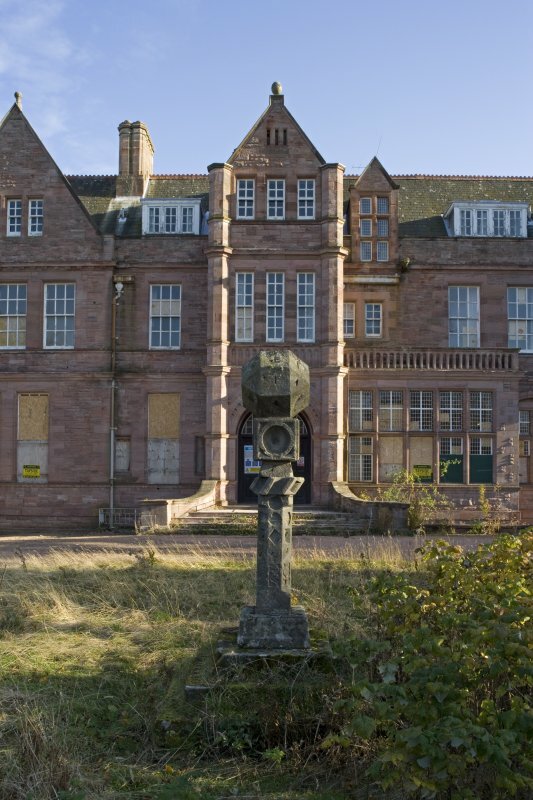 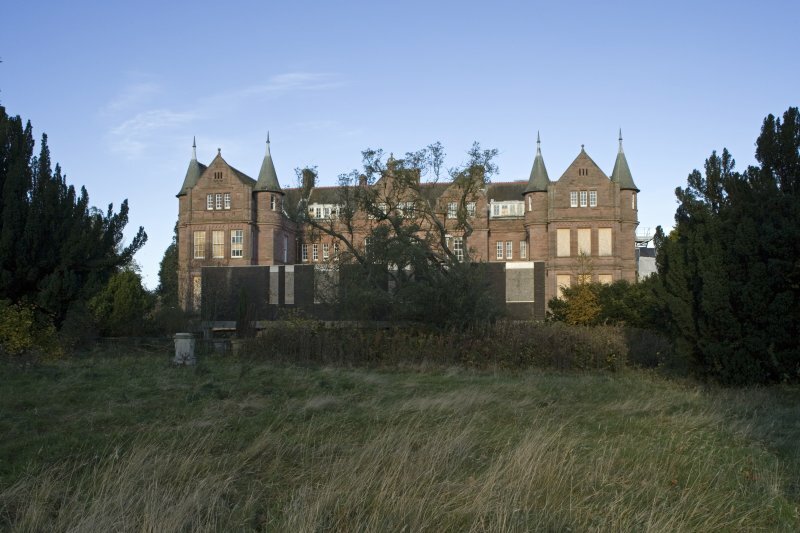 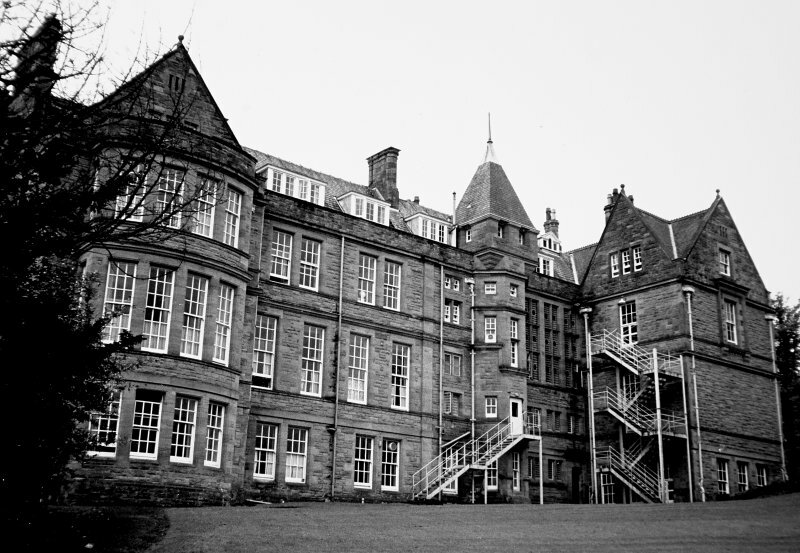 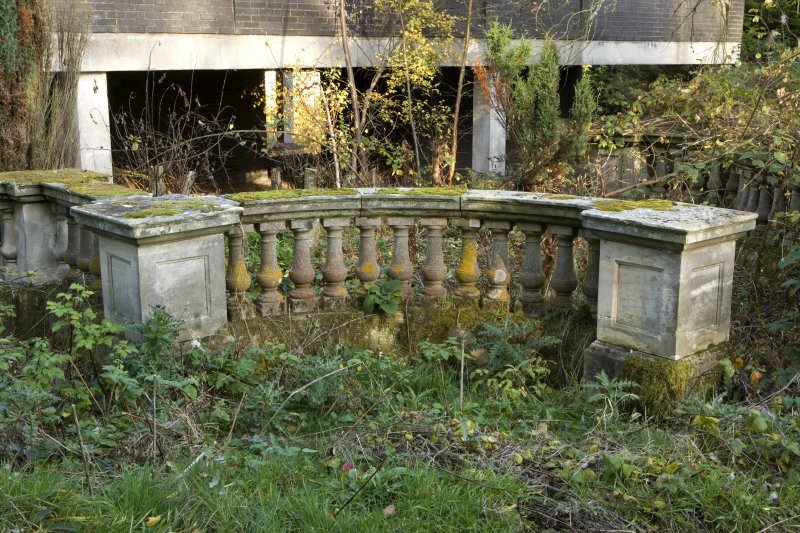 Now a Maternity Home known as Craigtoun Hospital. 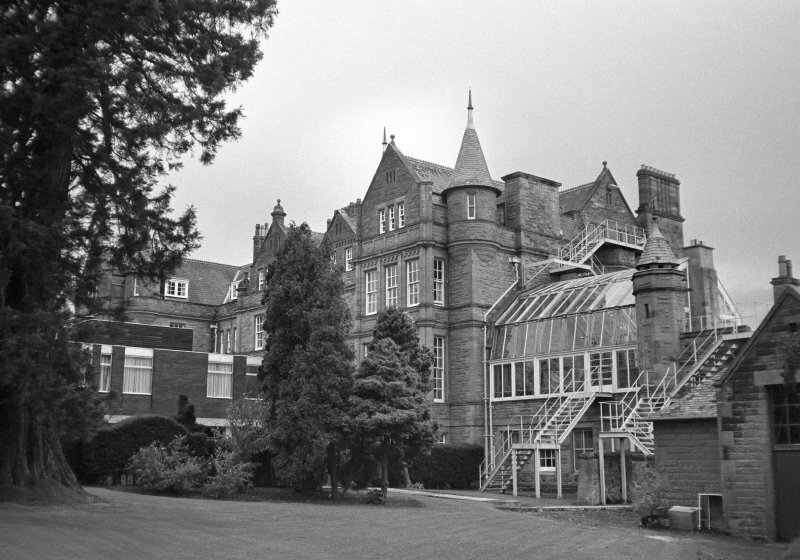 Some park buildings were demolished in 1966. 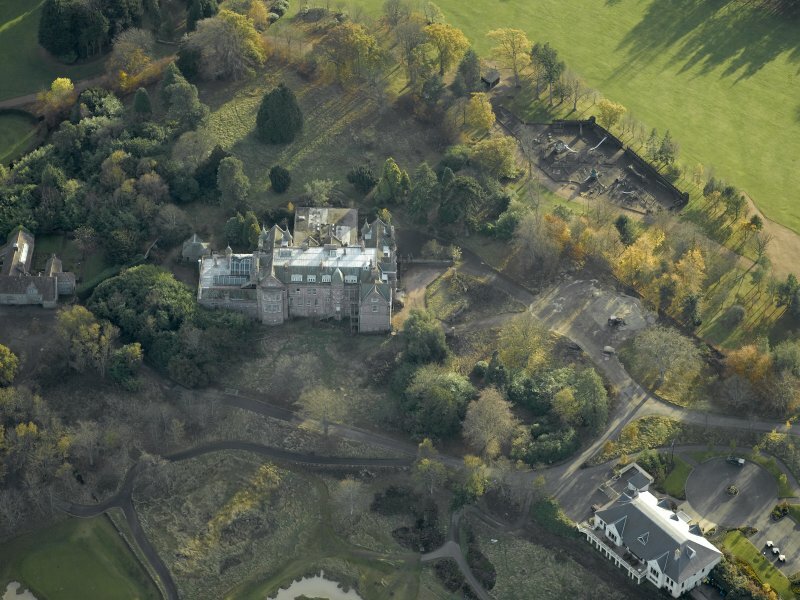 Rough sketch plans of different lay outs of the Estate indicating projected alterations. 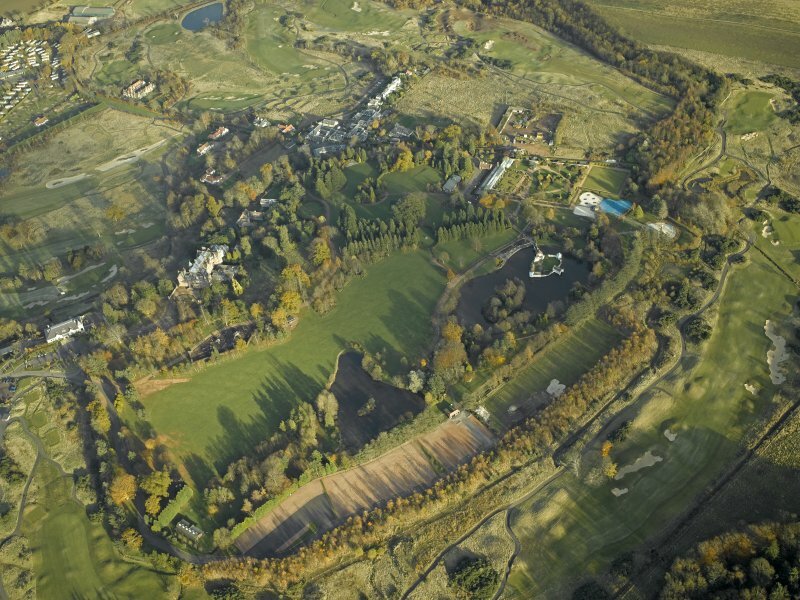 The Mansion house, Garden, Offices, Sunk fences, Lumbo Farmstead and The House of Ballon are shown. 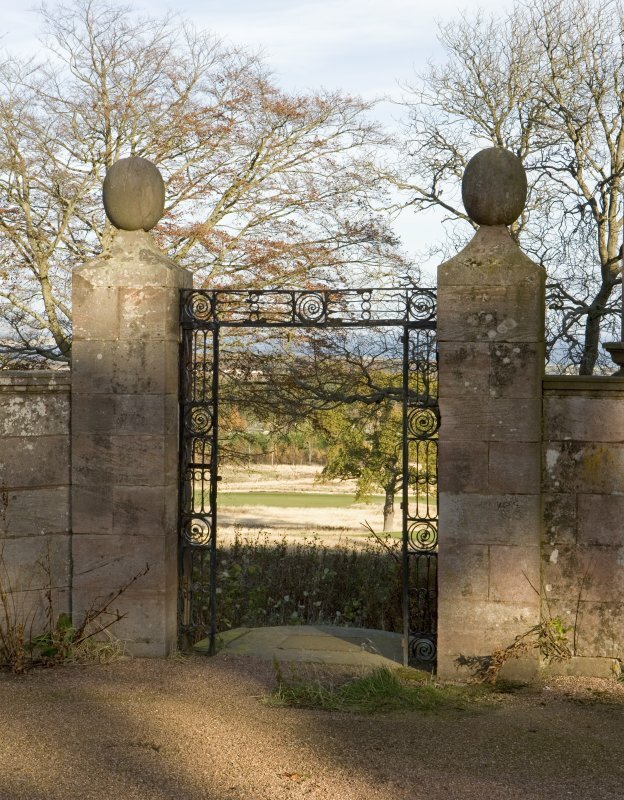 A handsome Gateway and Lodge should be built where the Approach joins the main road. 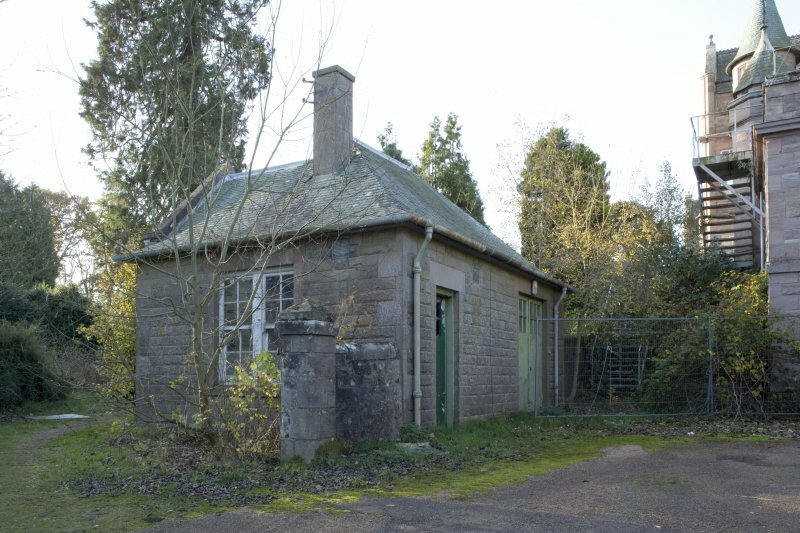 There is to be another Gateway and Lodge at Ballan and it is suggested that the present gate might be left but not used and 2 pillars errected to give the idea of a Gate of Entry at the NE corner of the Park. 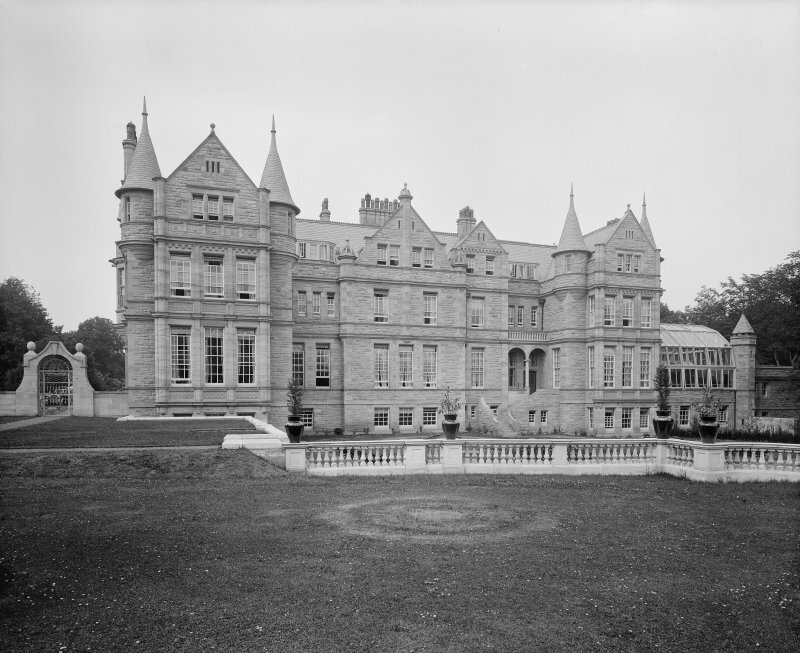 Account of expense of building the New House. 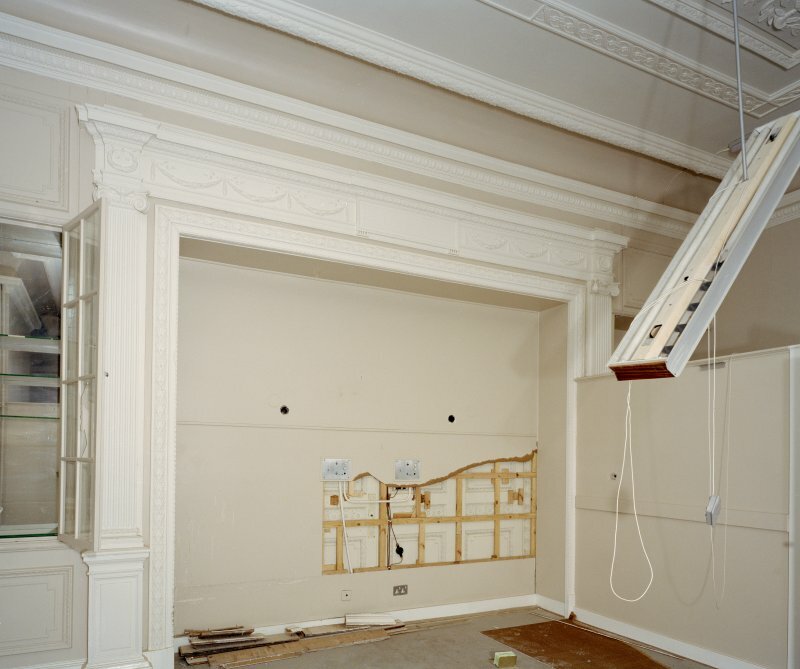 Note of sums paid to masons, wrights, plasterer and slater. 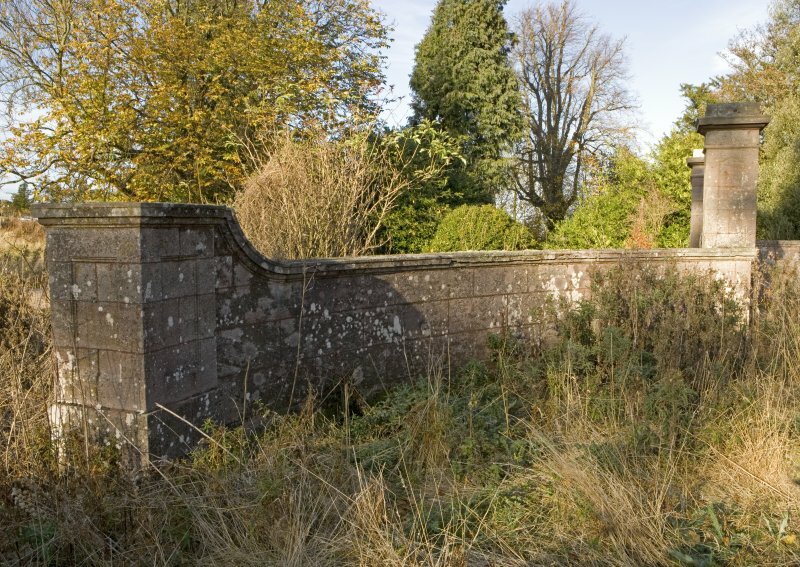 Ideas for 'embellishing' Mount Melville. 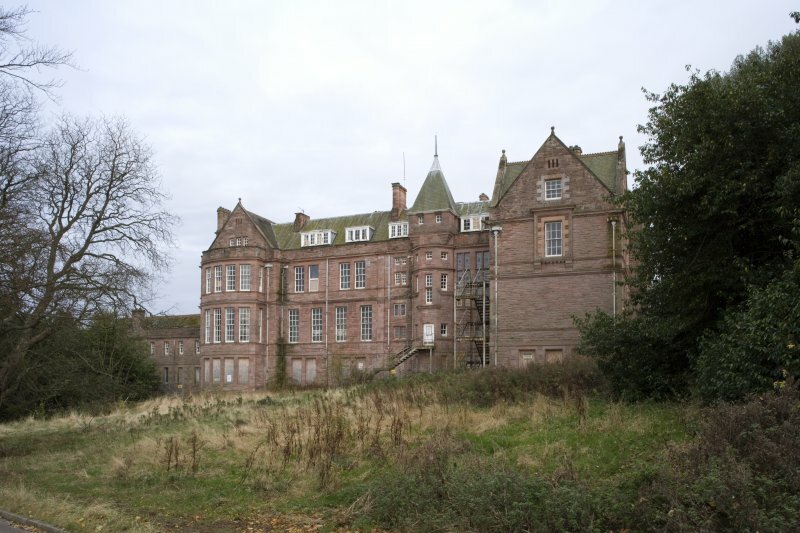 Notes concerning the position of the New House and the lay out of the Park. 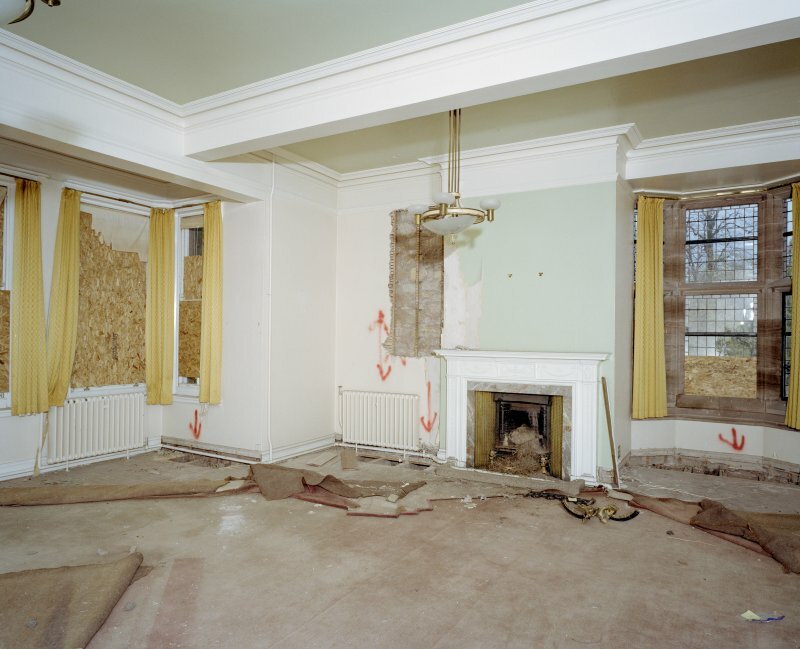 Expense of alteration to the House. 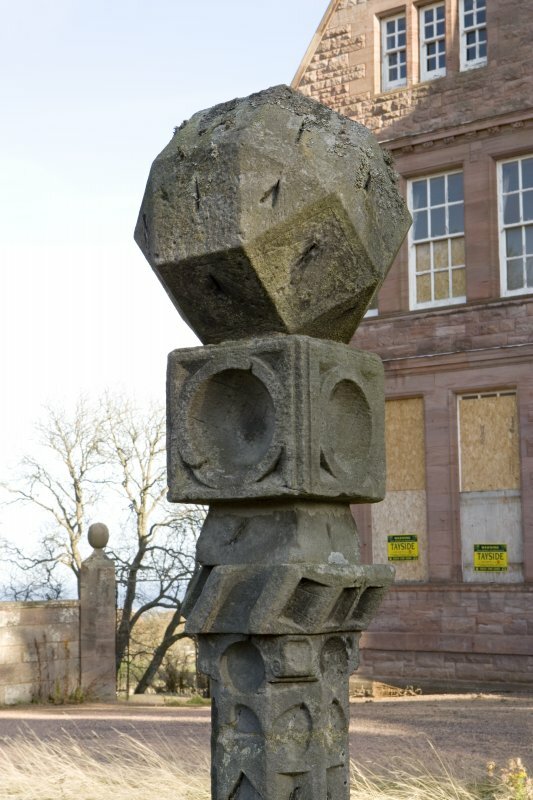 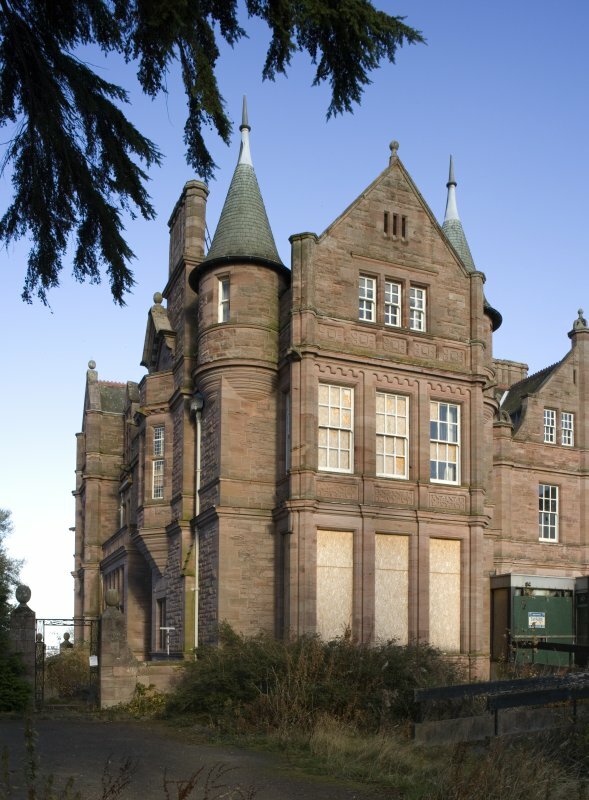 Hutchison's account for building the new addition and extra work to the Old House, the new kitchen court and an iron balcony had amounted to ?5,115.11.81/2. 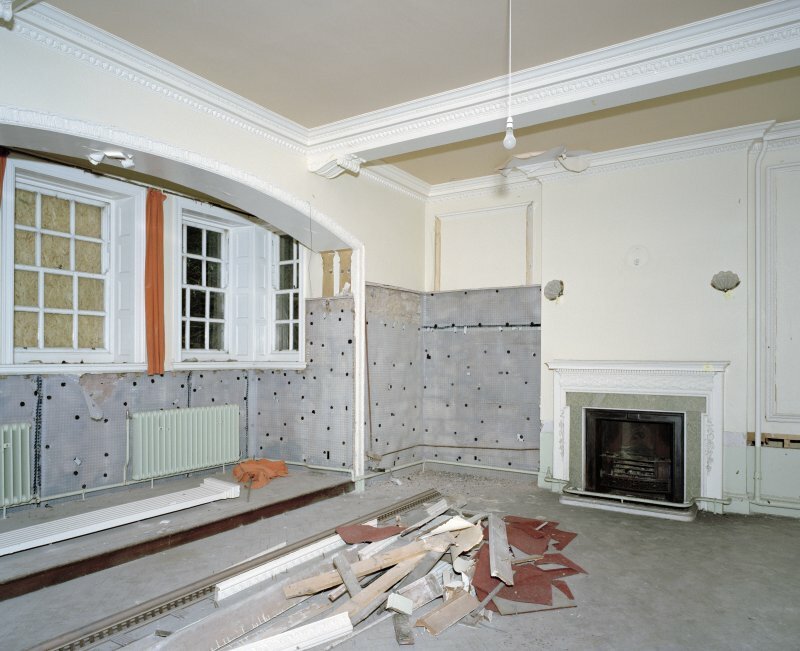 Tradesmen's accounts brought the sum spent to ?7012.0.01/2. 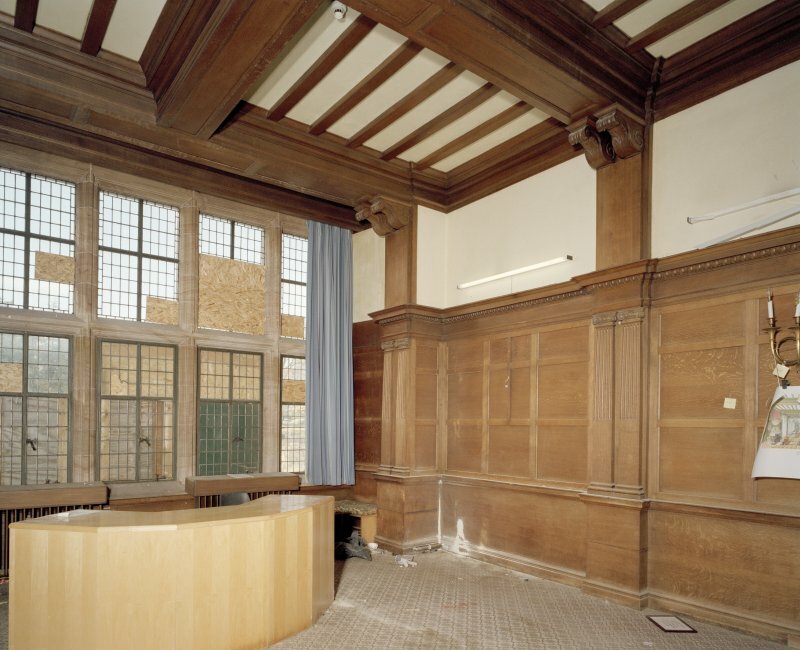 Plan for a Library over the Dining Room as suggested by Mr Whyte. 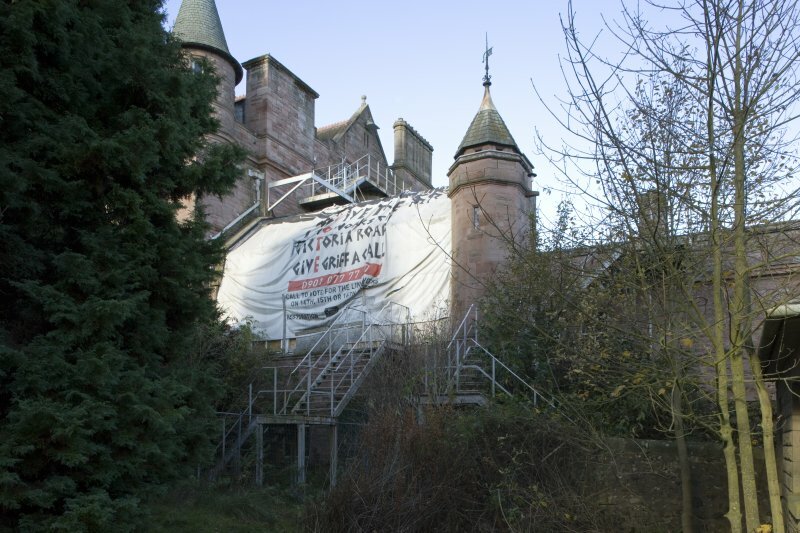 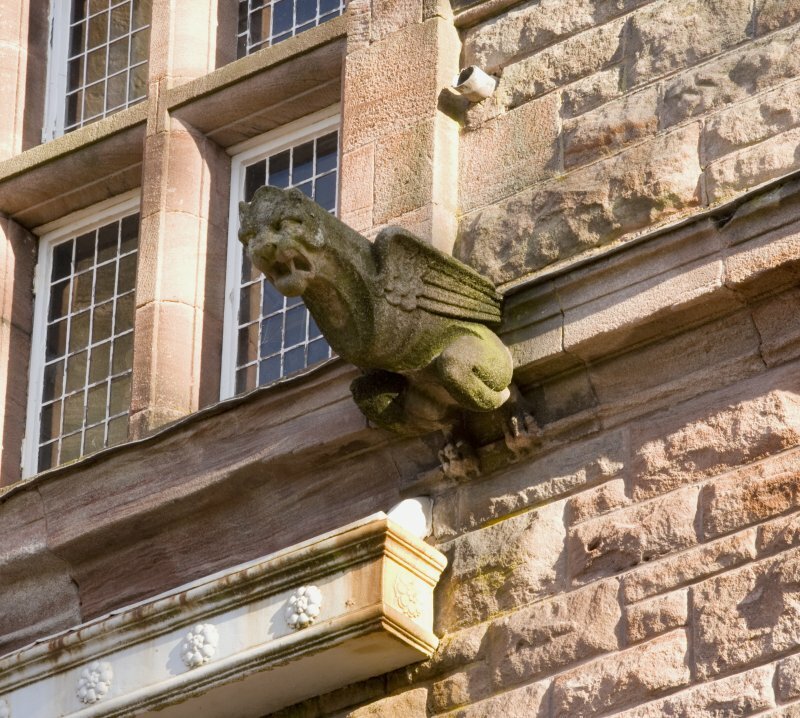 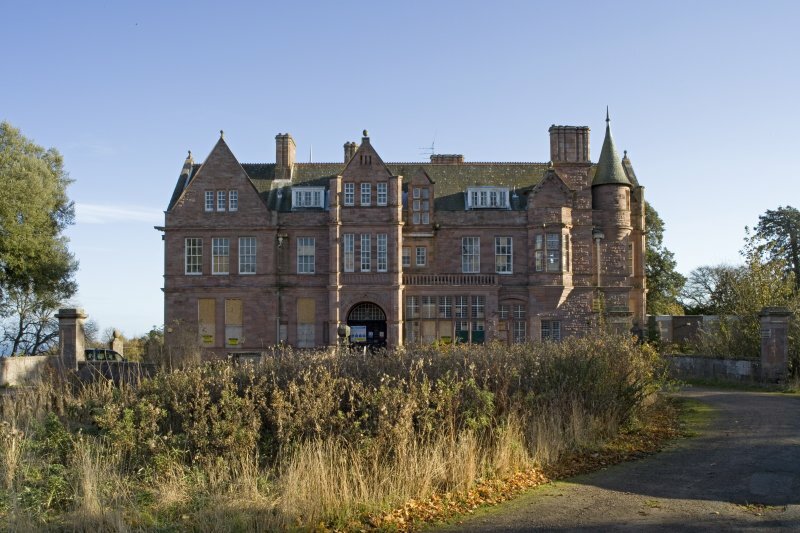 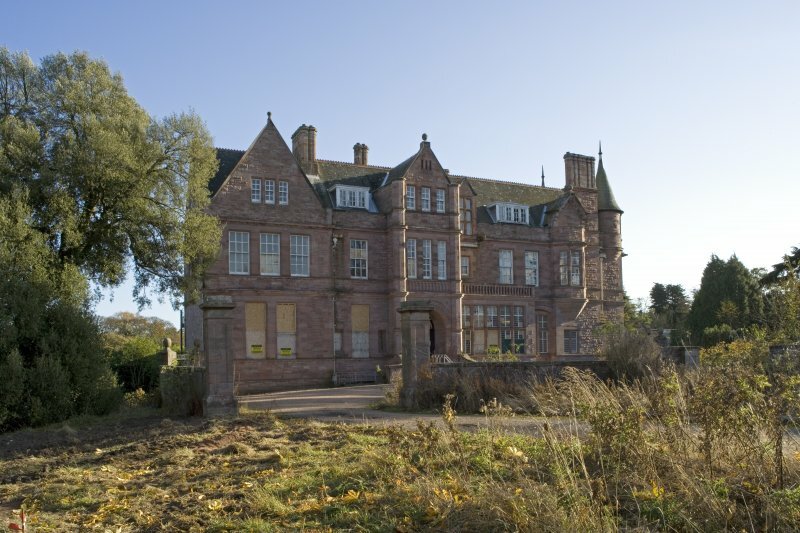 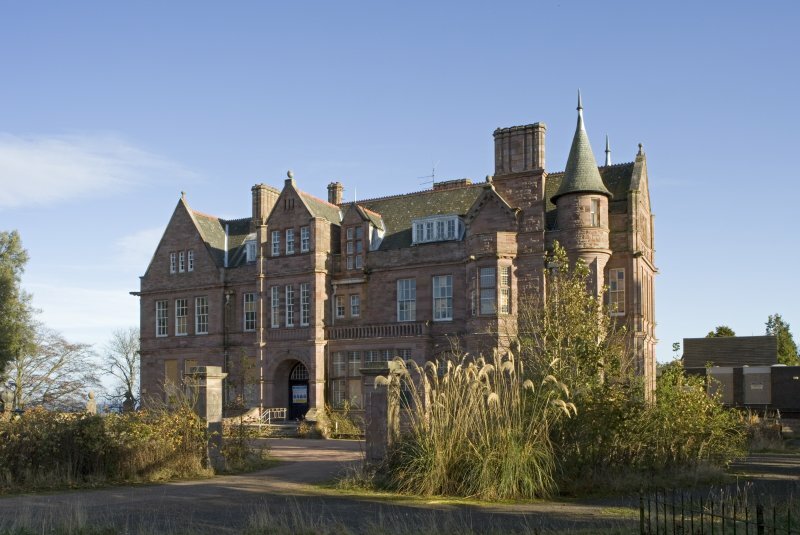 Large early Renaissance mansion with some Scottish Baronial features. 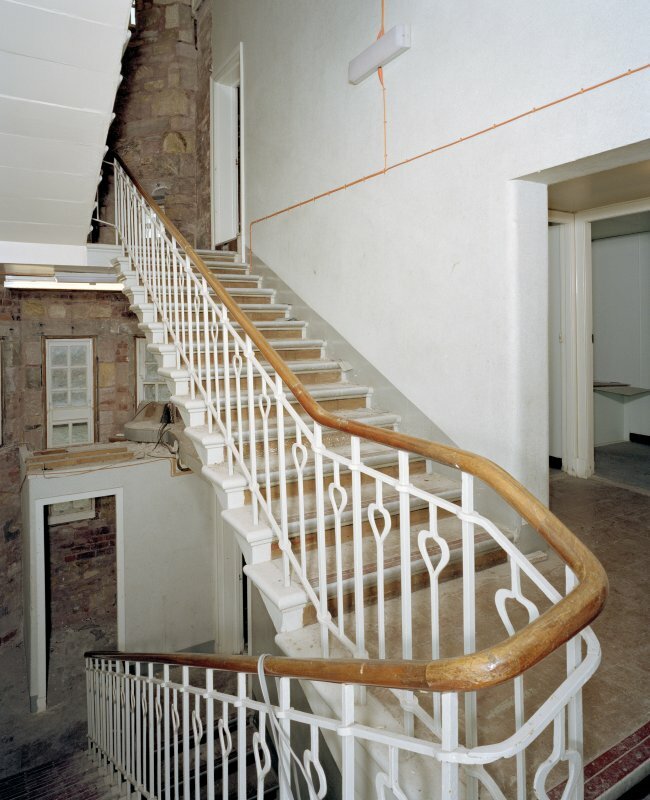 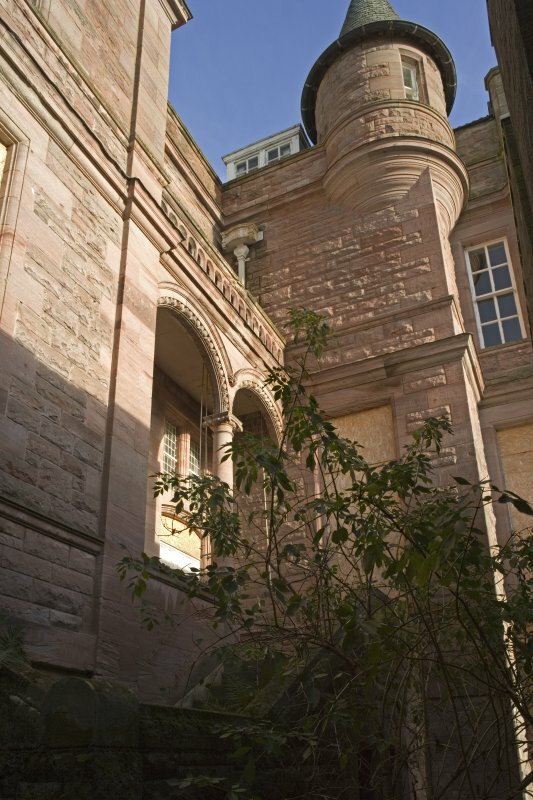 Two/three storey and attic, asymmetrical composition of hammer-dressed pink sandstone with polished ashlar dressings. 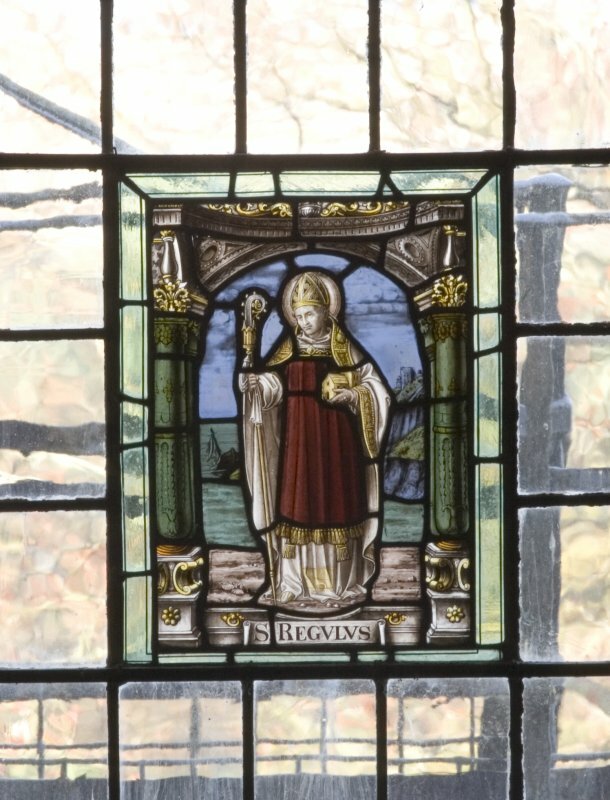 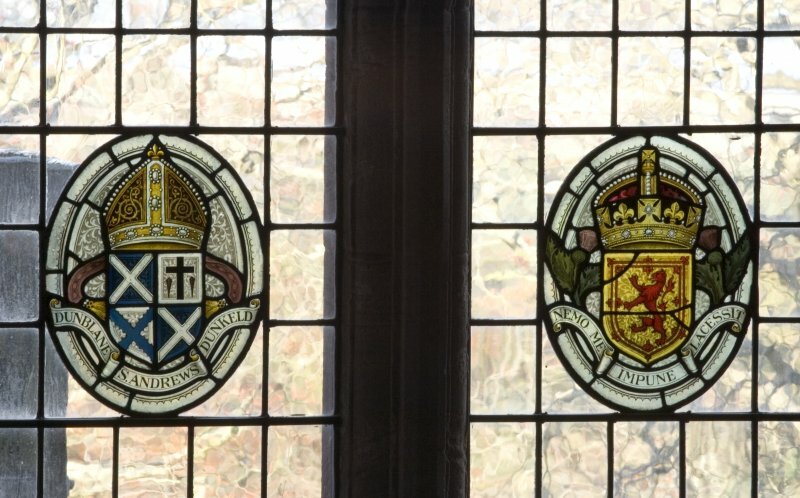 Small-paned windows. 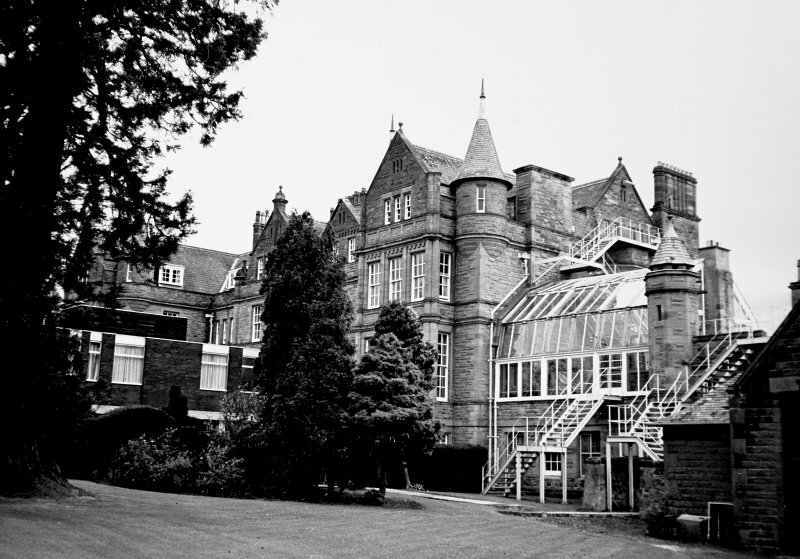 Westmoreland slated roof with crested ridge tiles and clustered octagon and lozenge stacks. 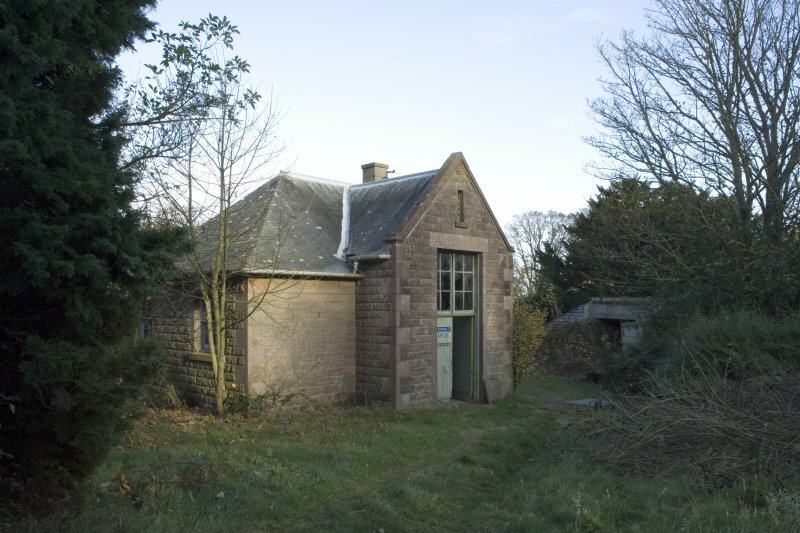 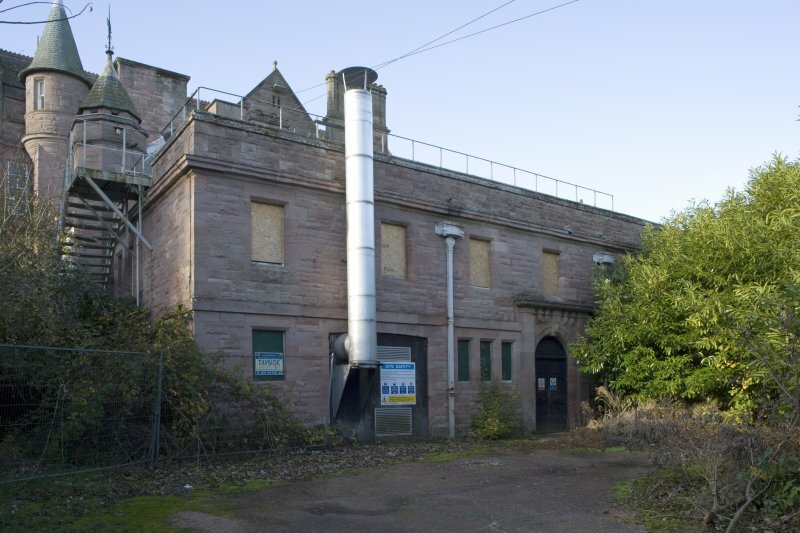 West entrance elevation has off-centre advanced and gabled entrance bay with round arched open porch, arcaded band and 3 slim windows above octagonal angles; one window link to gable on left with 2 windows ground floor, three at 1st and 3-light attic. 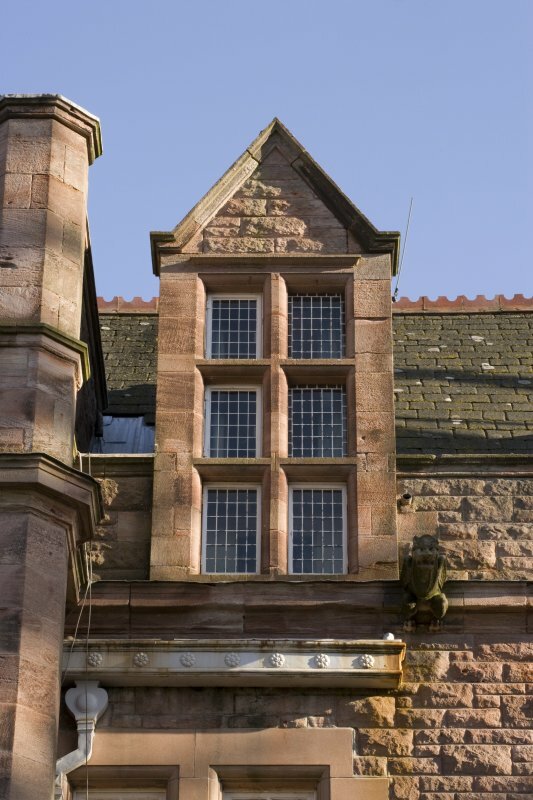 Wide 5-light stone mullioned and transomed hall window bay to right with arcaded parapet and segmentally over-arched bipartite to right, 2 small windows, 2 larger windows and left-hand mullioned and transomed window above, corbelled and canted three-light oriel bay with denticulated gablet, tall shafted stack and corbelled angle turret with conical roof at attic level far right. 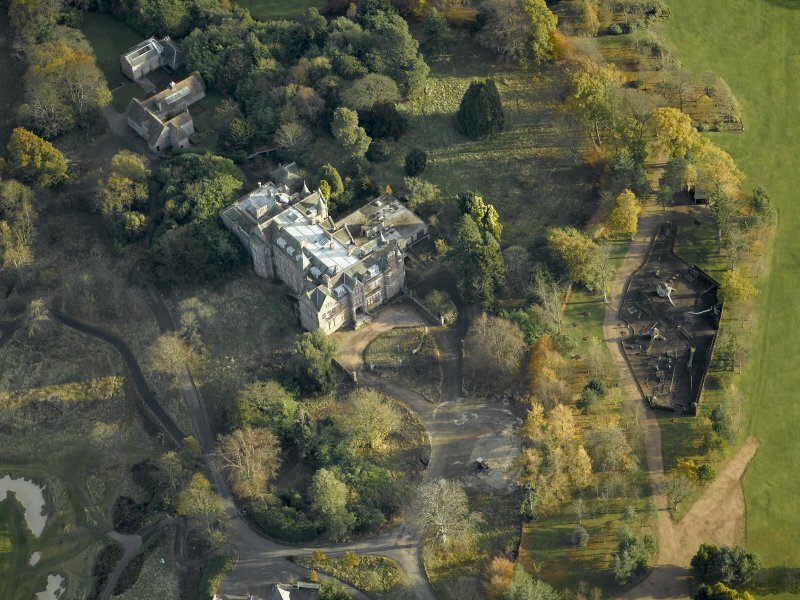 Paul Waterhouse of Alfred Waterhouse designed Craigtoun Park for his father-in-law James Younger. 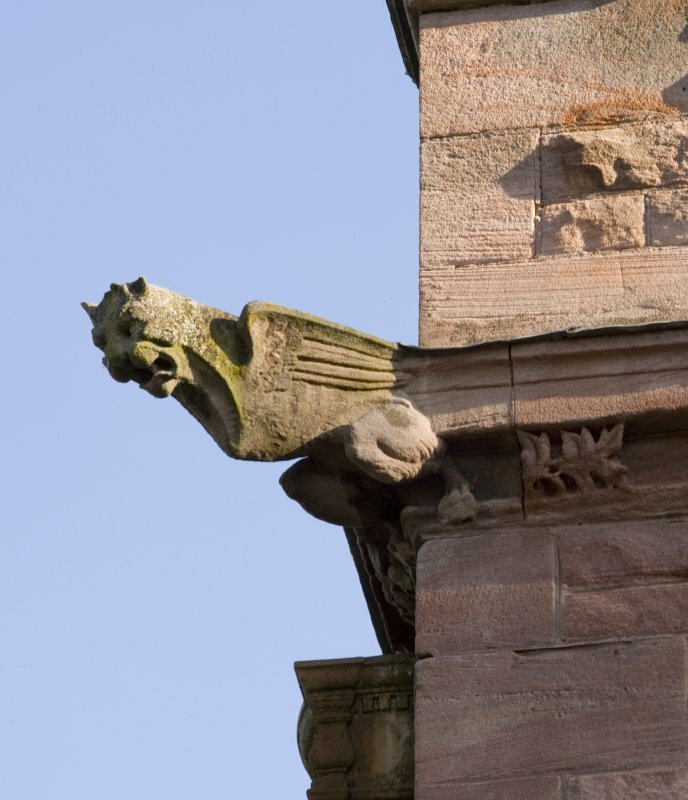 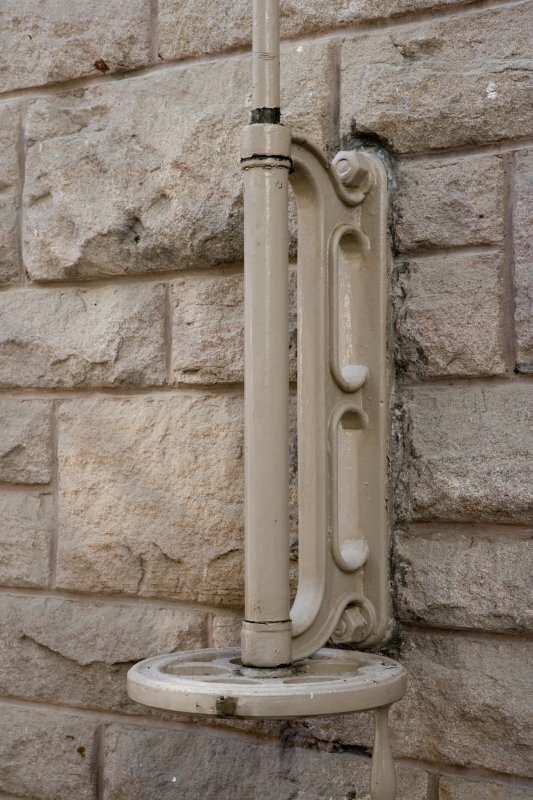 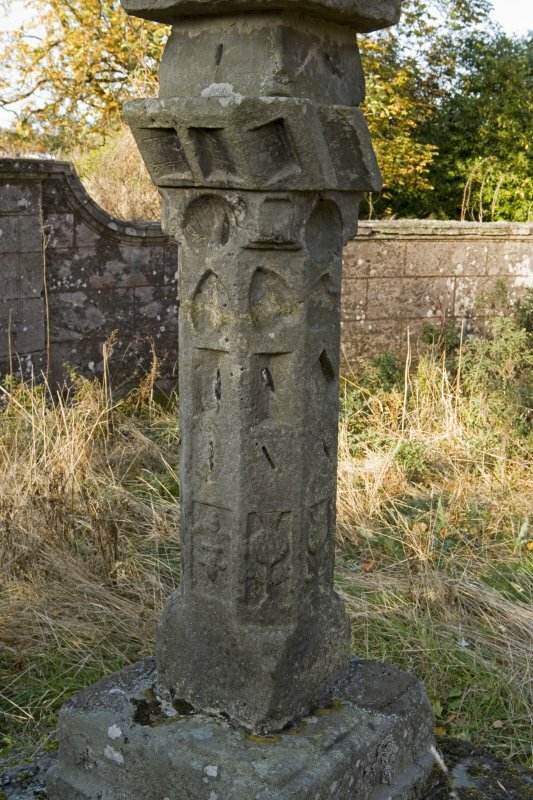 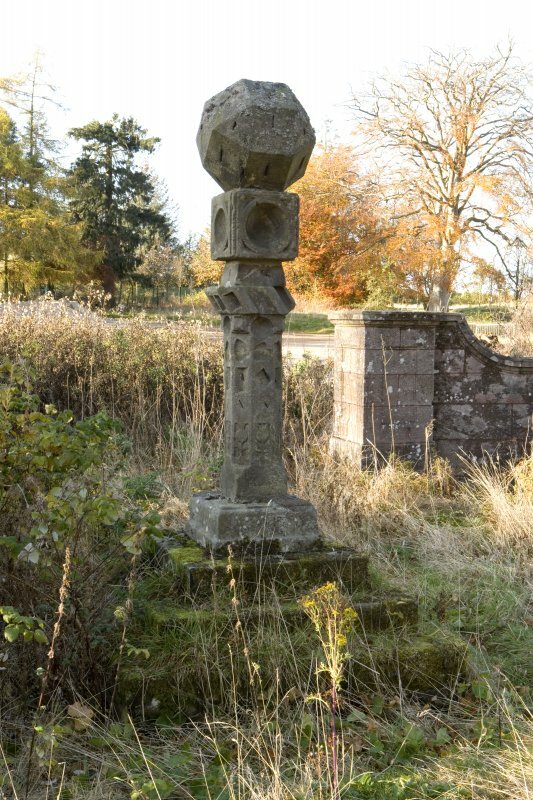 The rainwater heads are dated 1903. 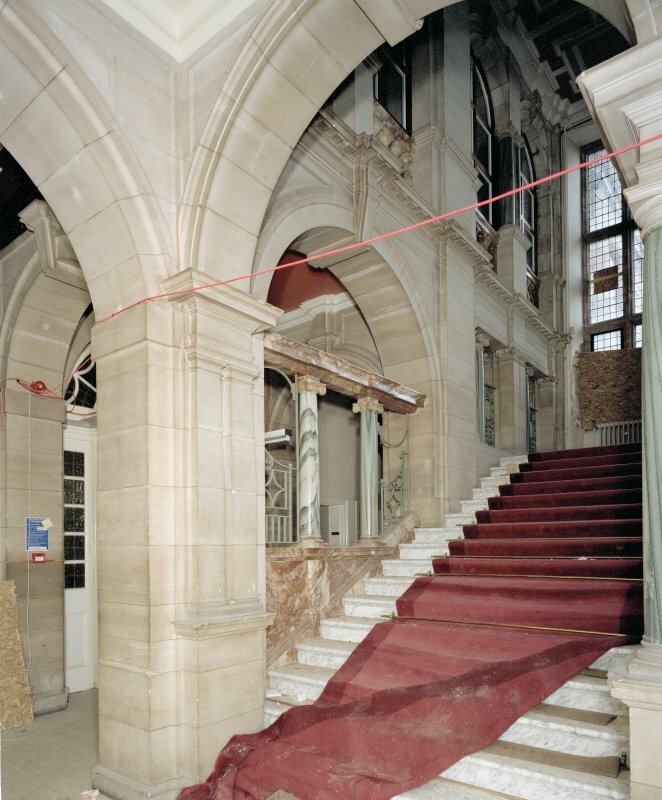 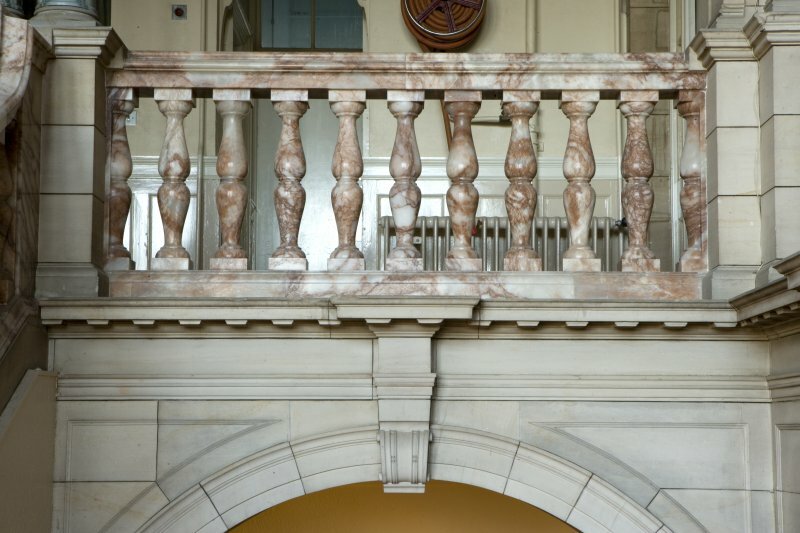 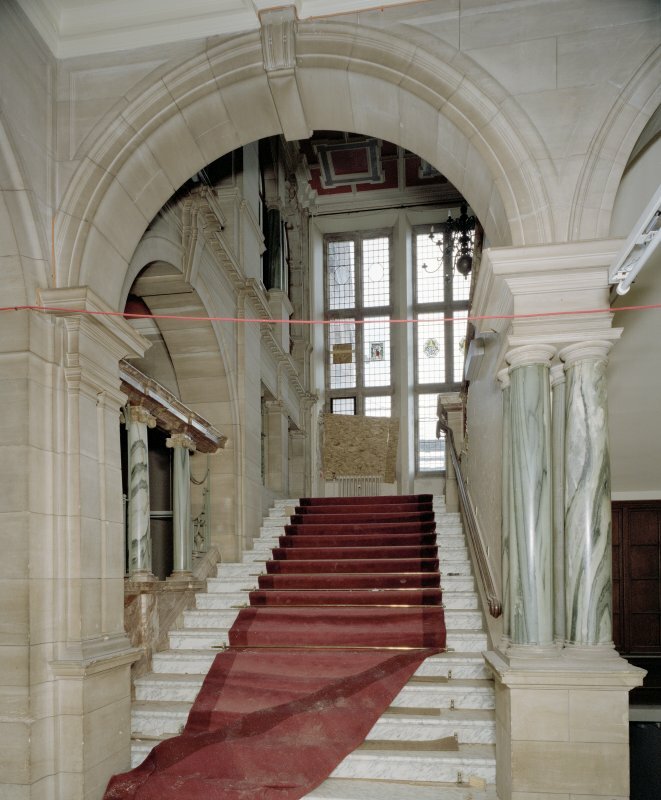 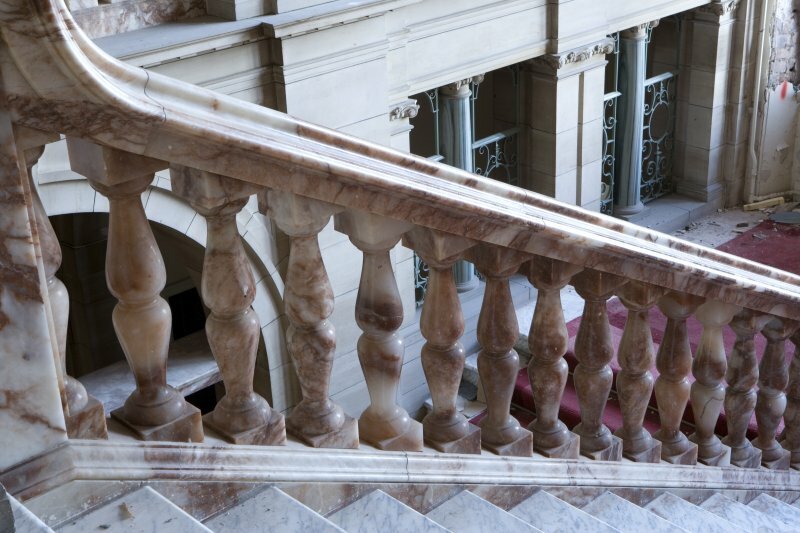 The panelled entrance hall, the principal corridor and magnificent arcaded staircase with marble work by Farmer and Brindley all survive. 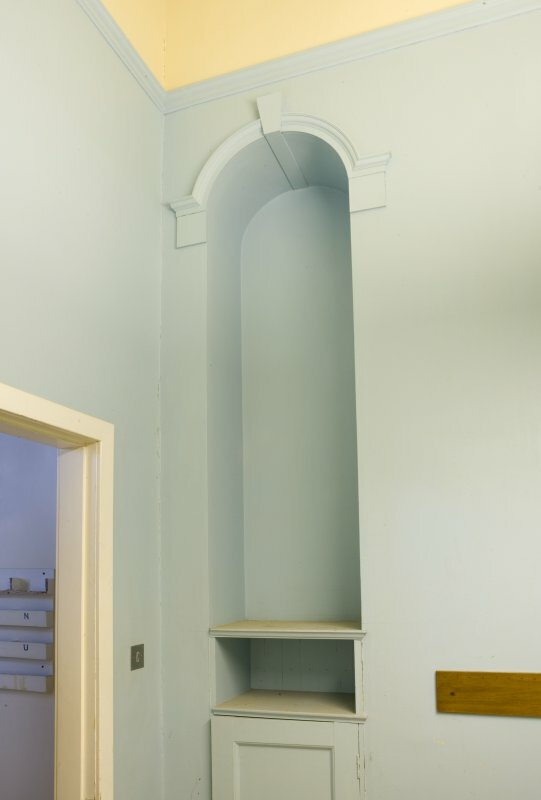 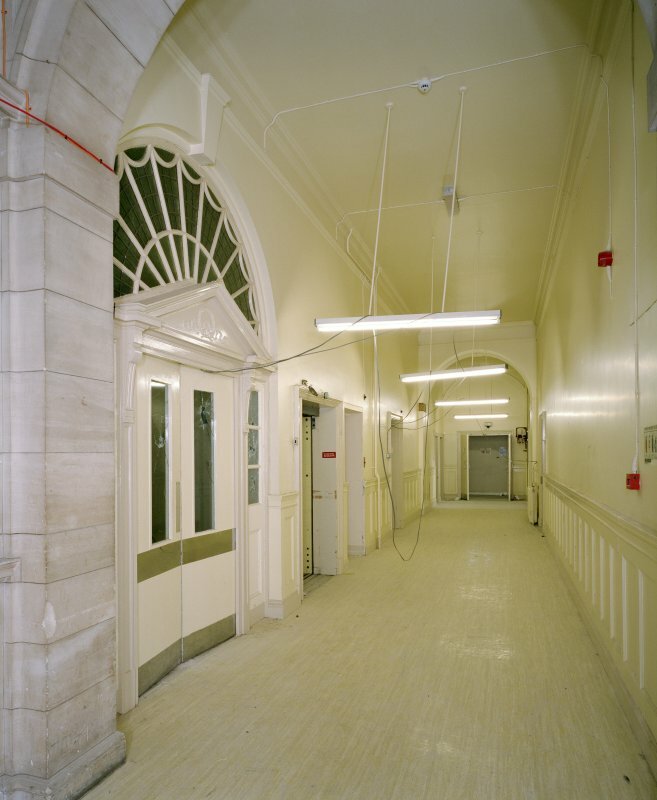 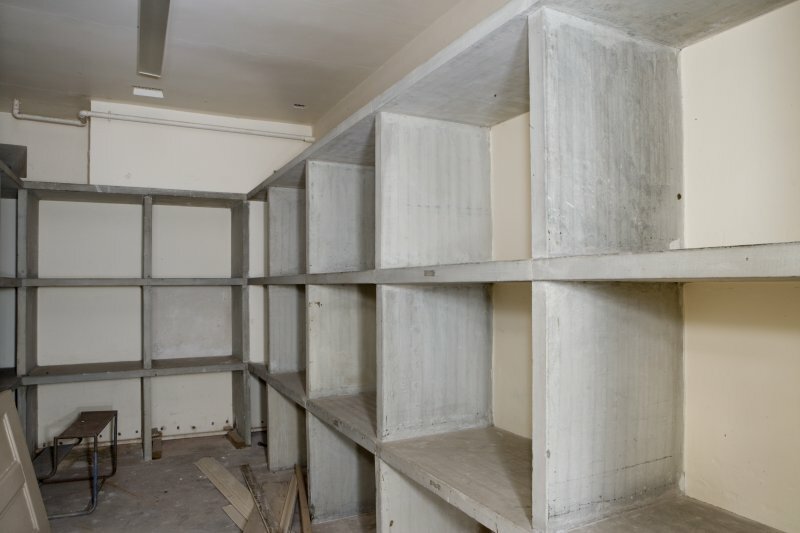 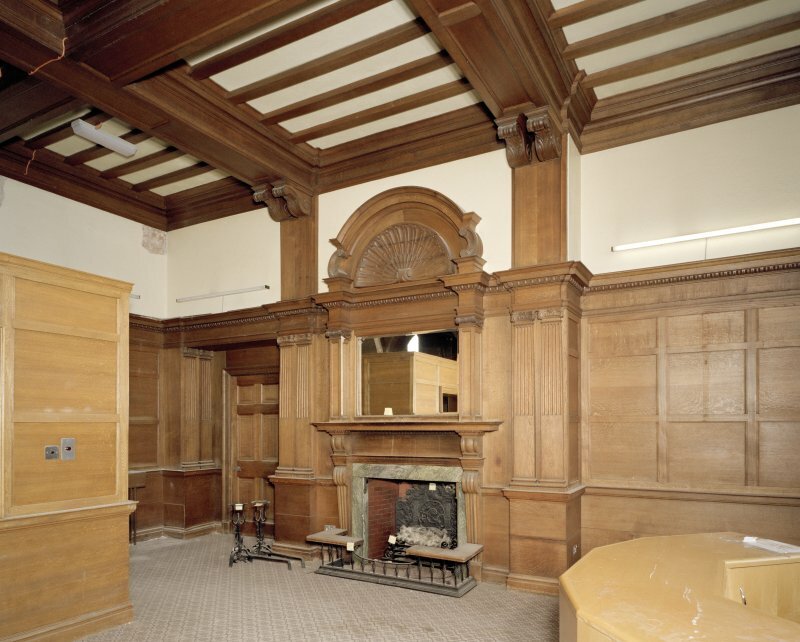 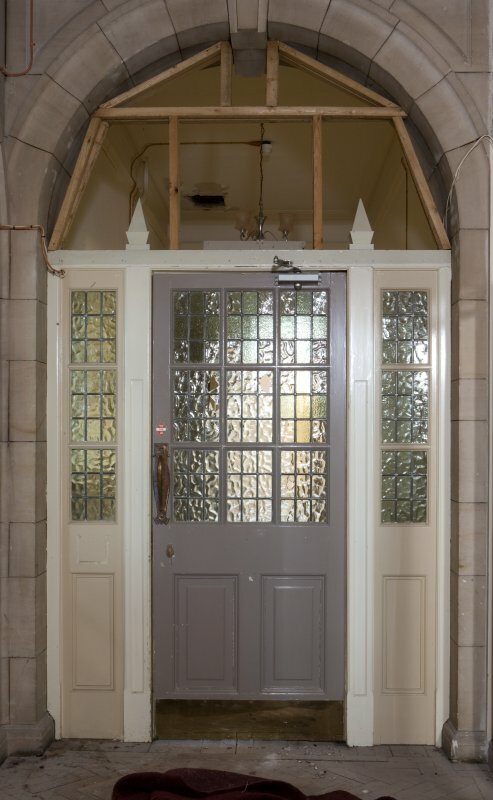 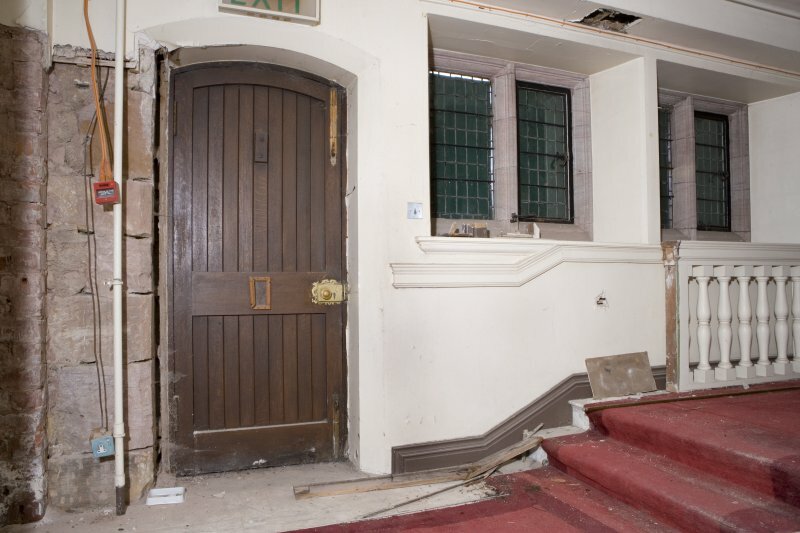 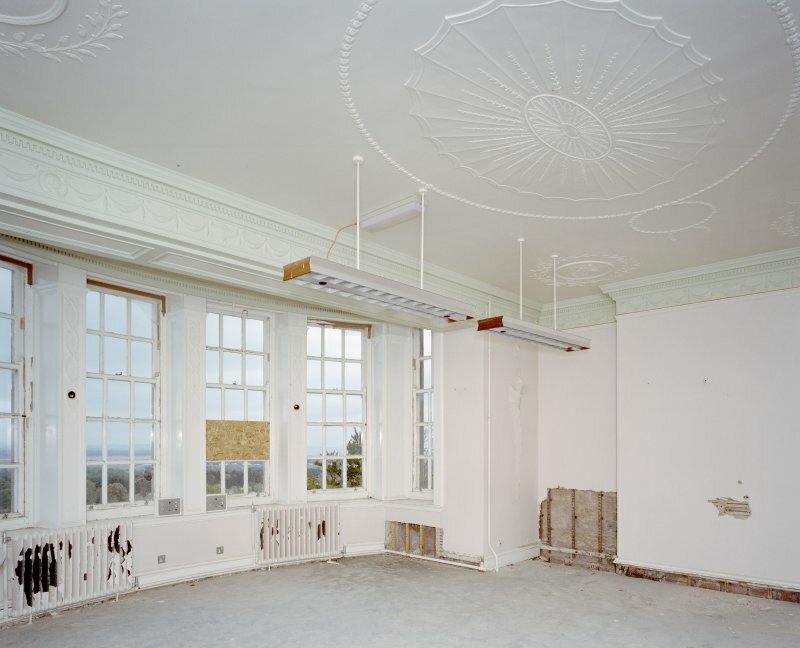 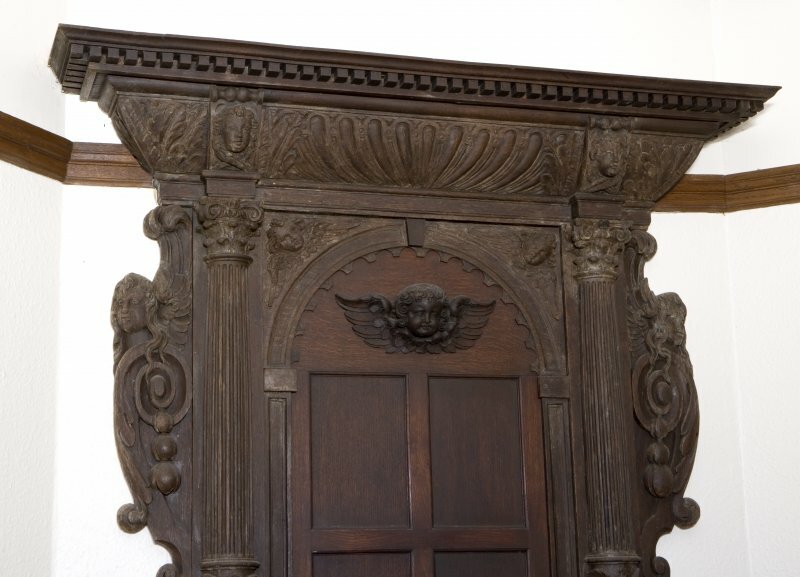 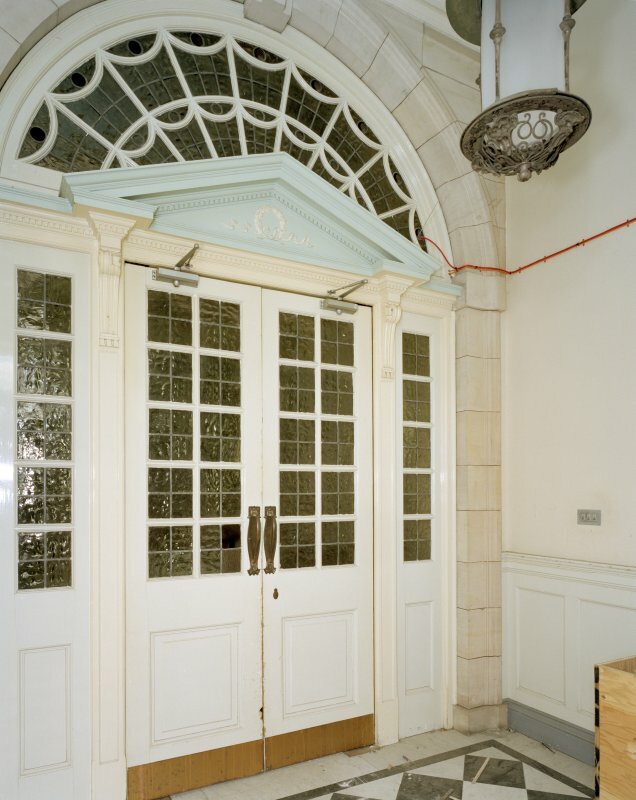 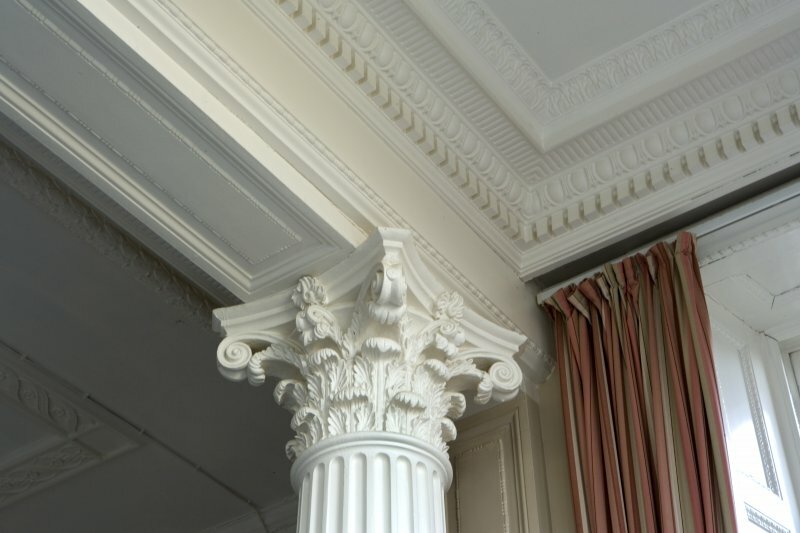 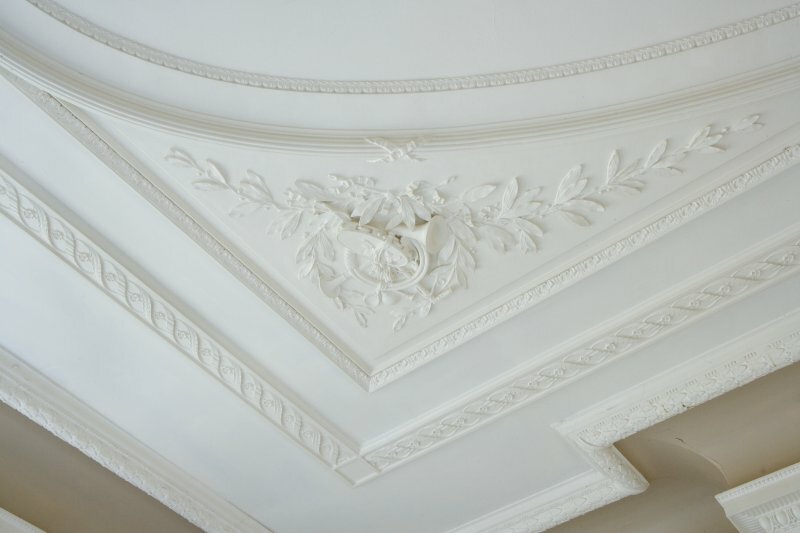 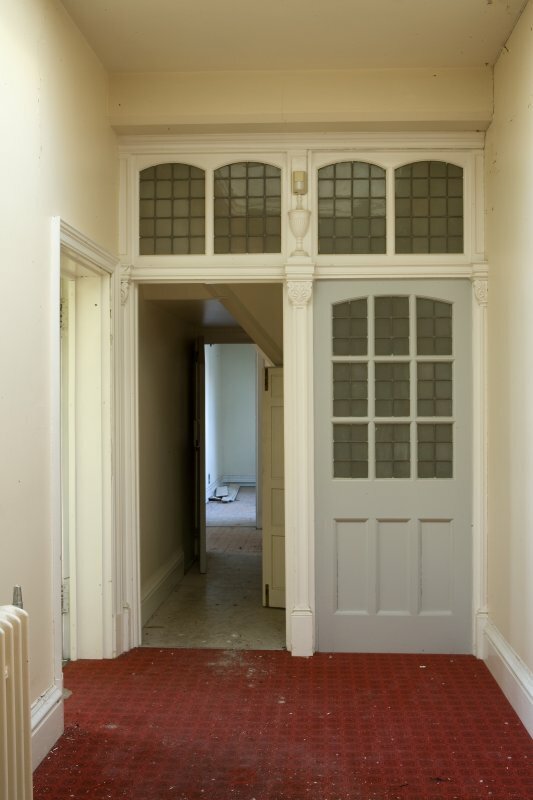 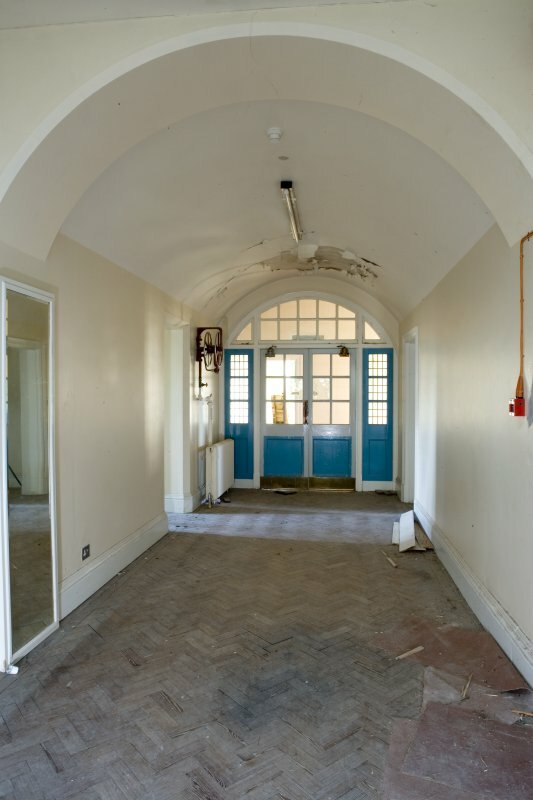 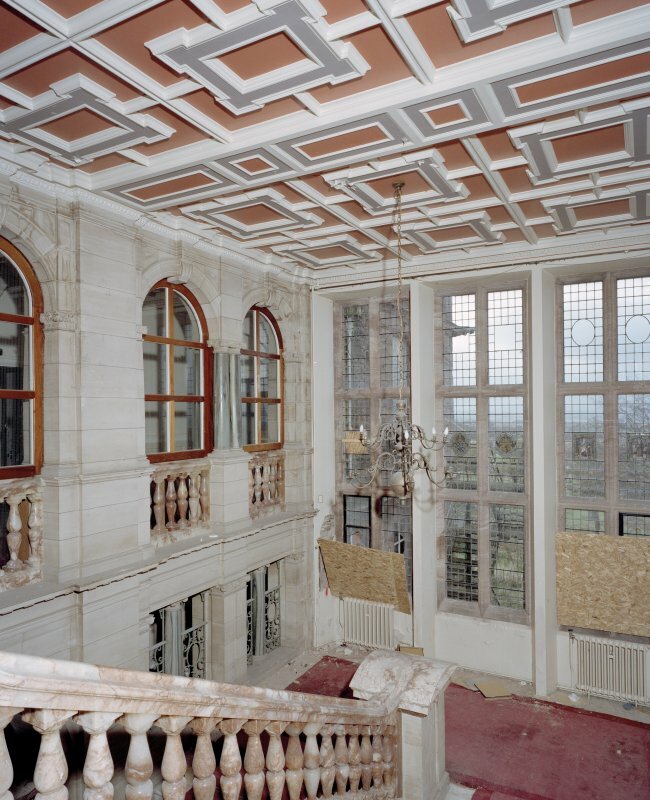 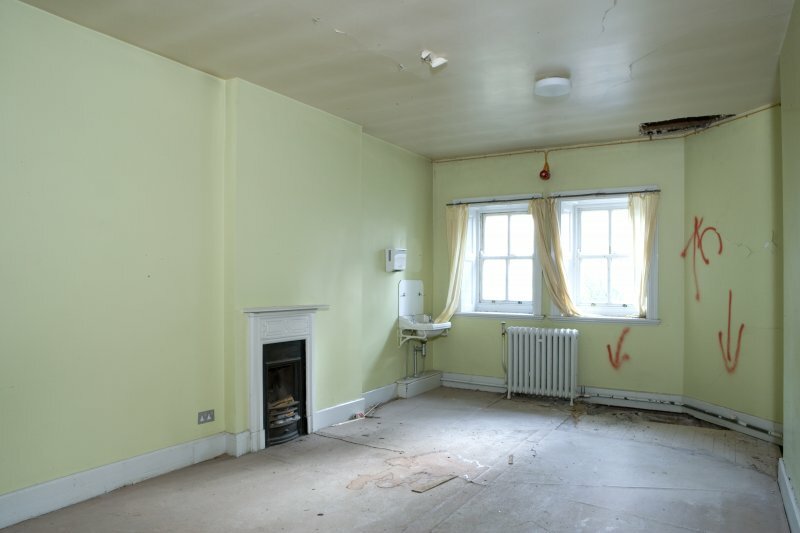 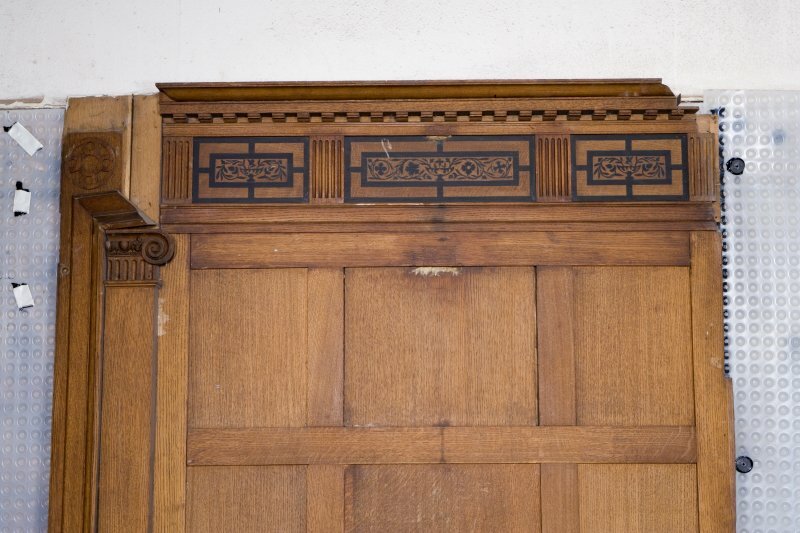 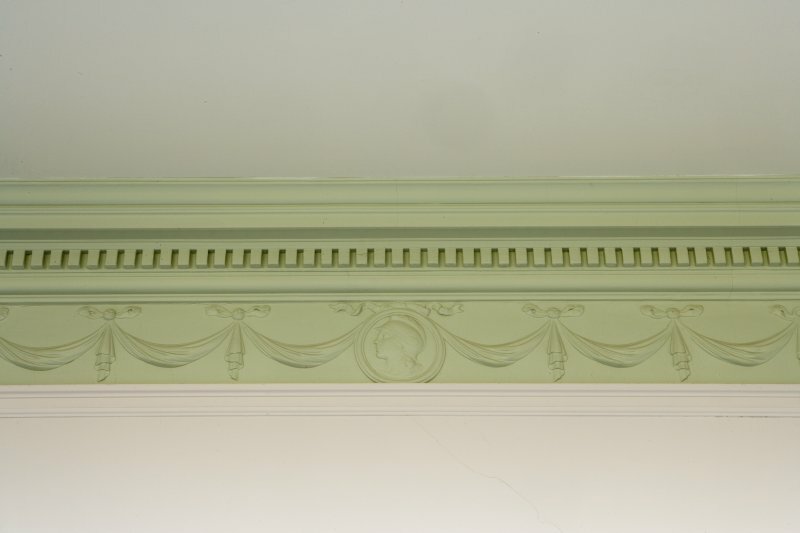 Although the double drawing room has been sub-divided all of the elaborate plasterwork and the connecting doors survive intact. 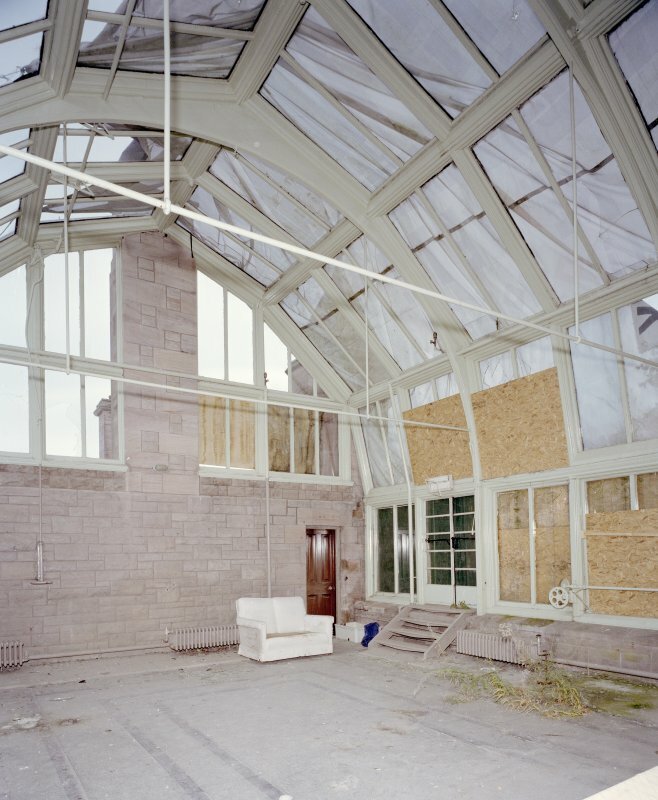 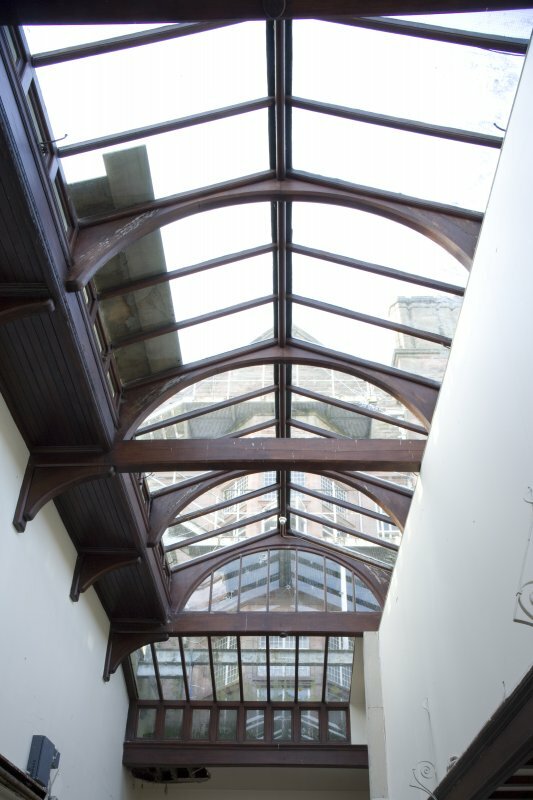 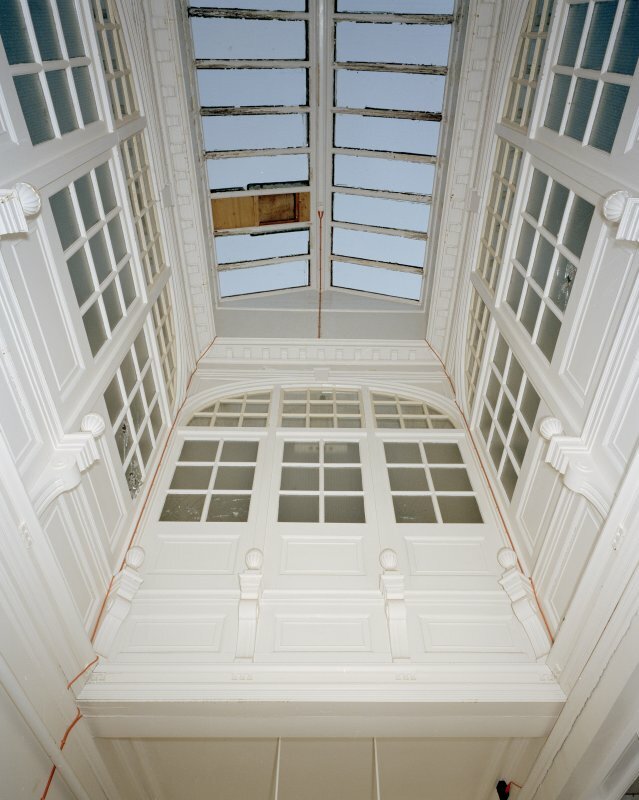 The first floor conservatory leading off the south drawing room remains unaltered. 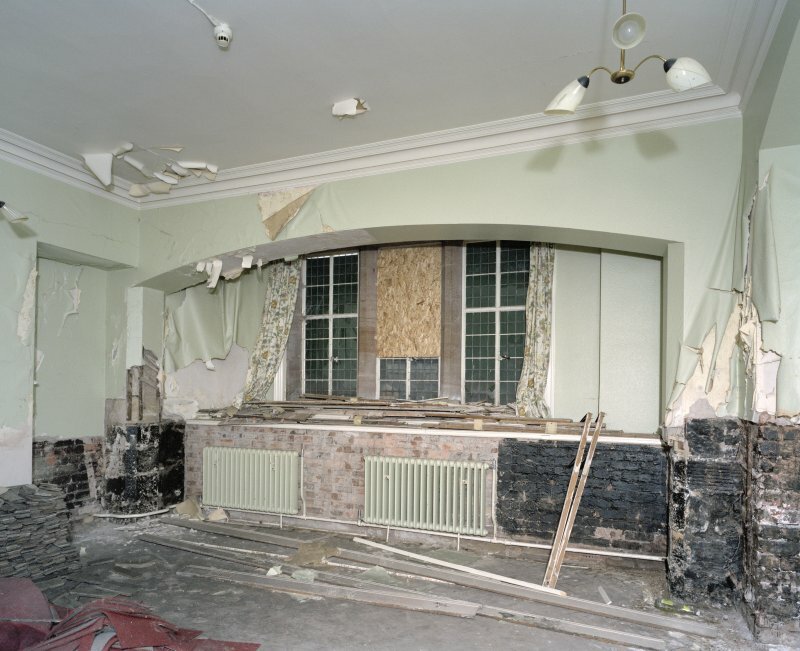 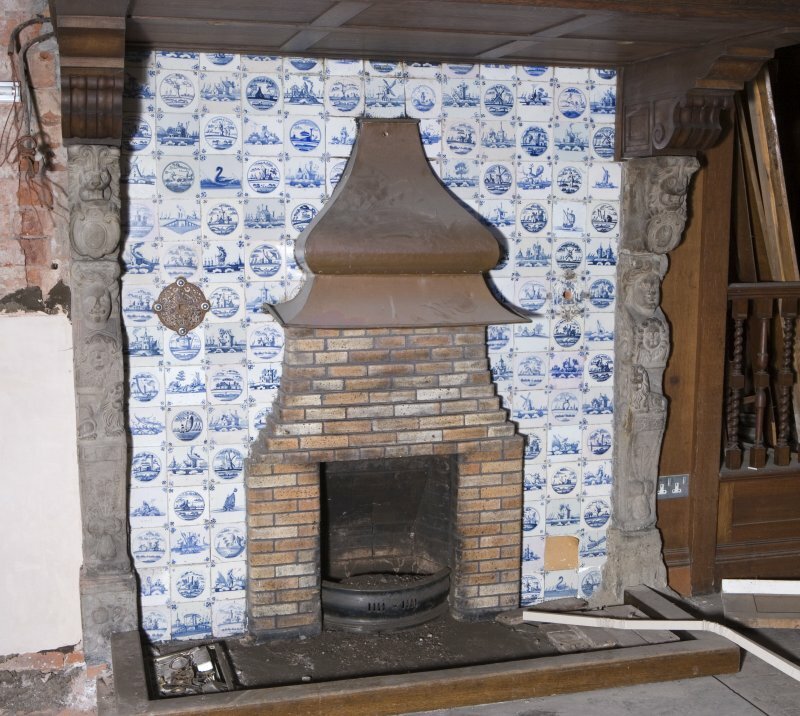 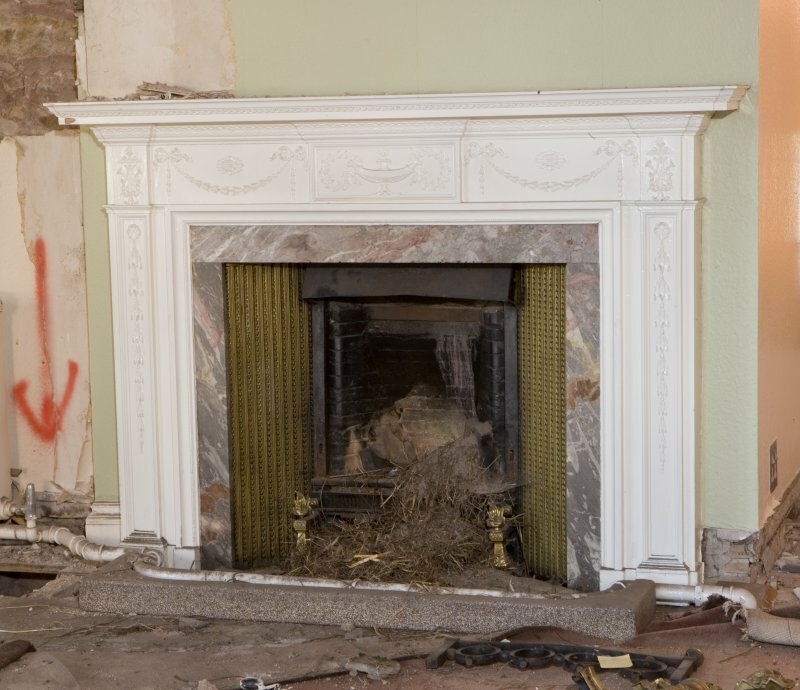 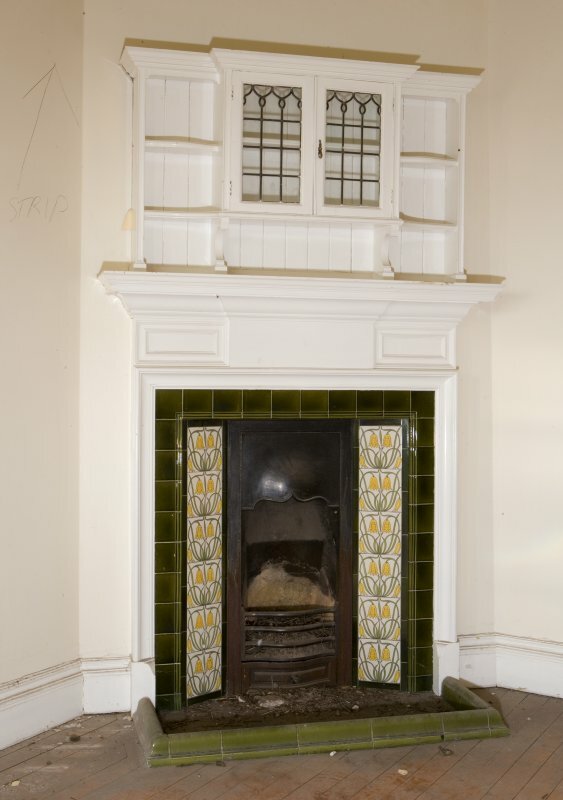 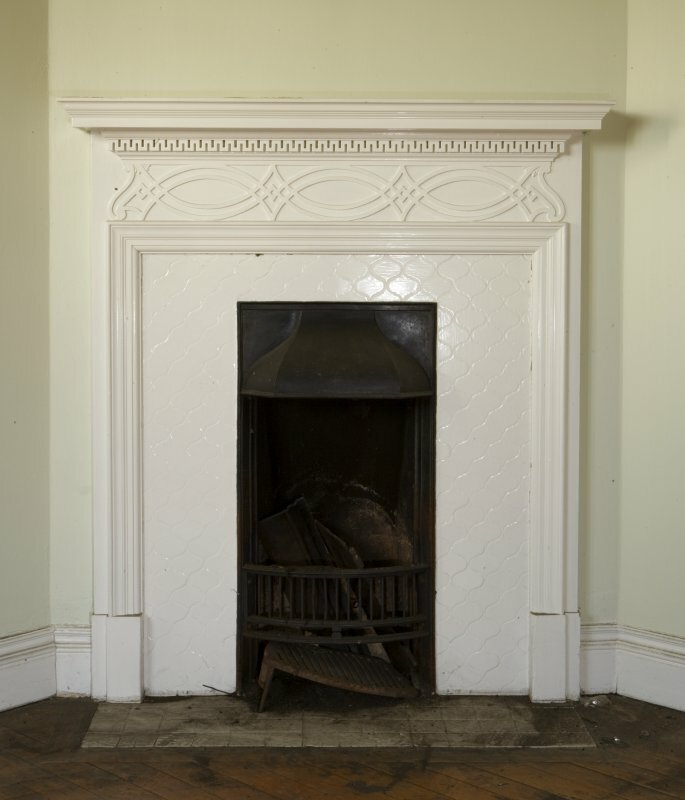 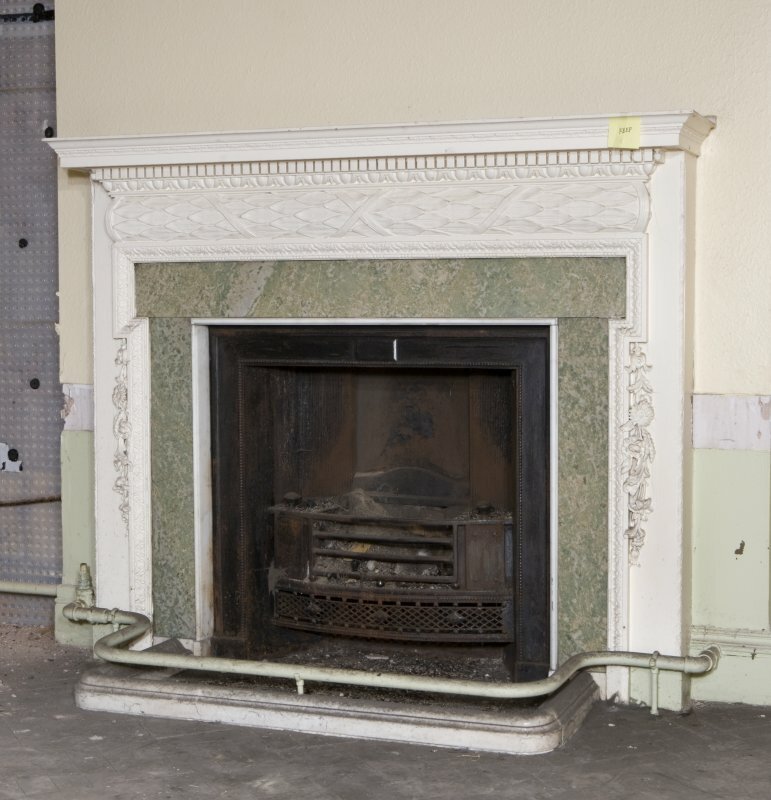 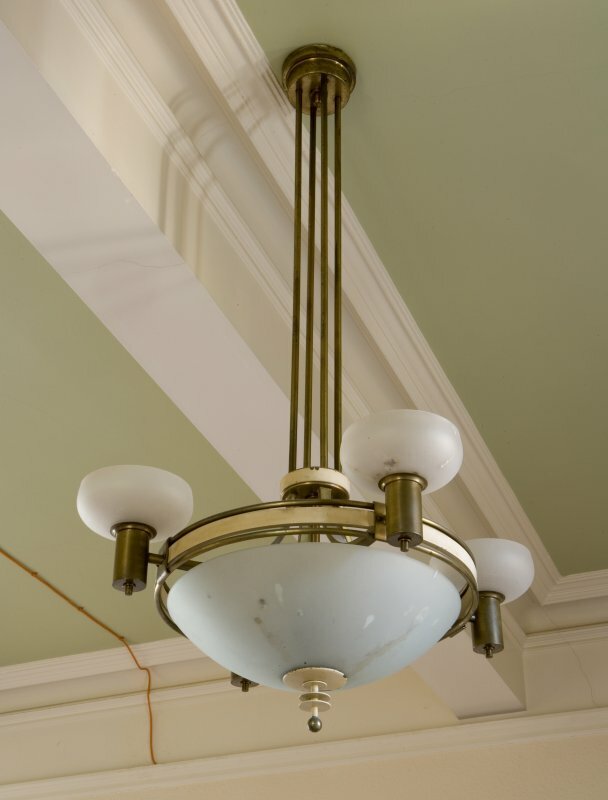 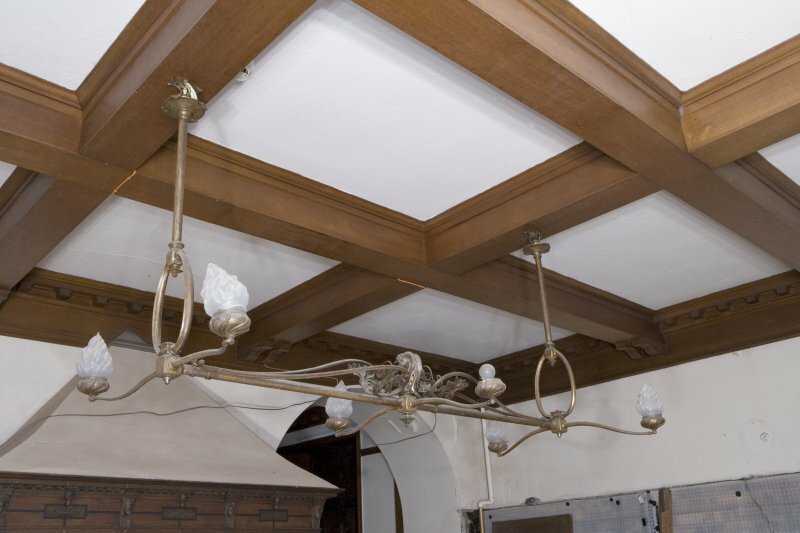 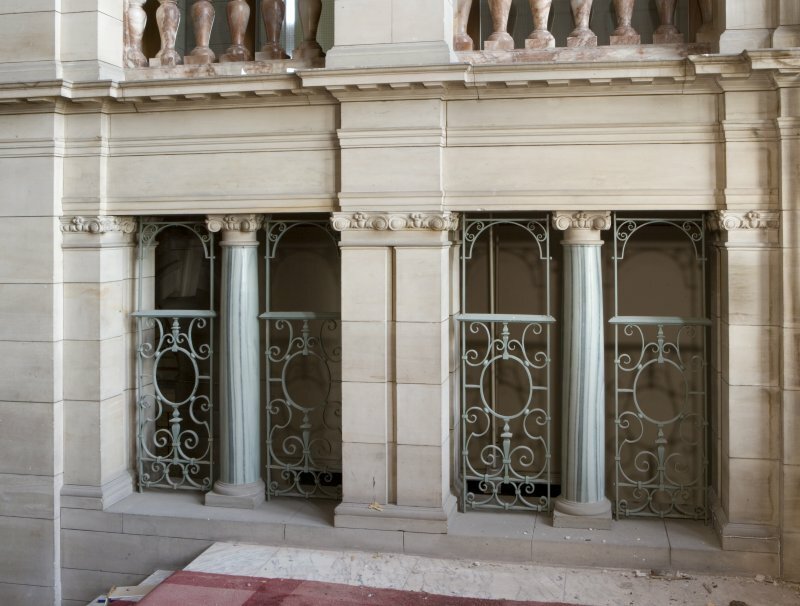 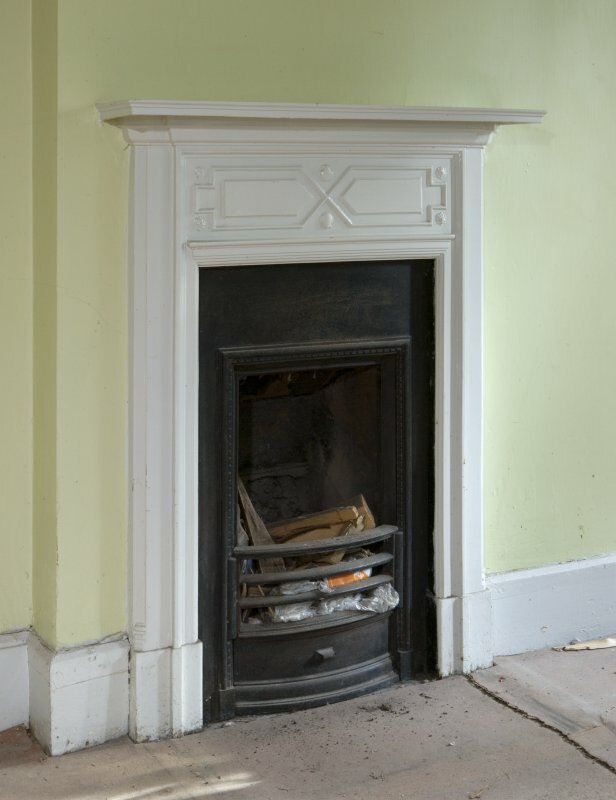 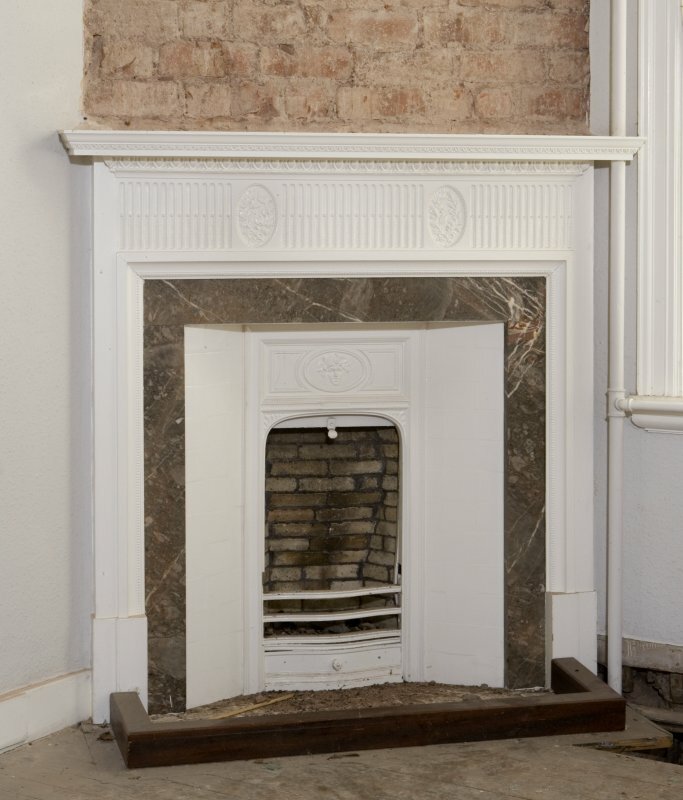 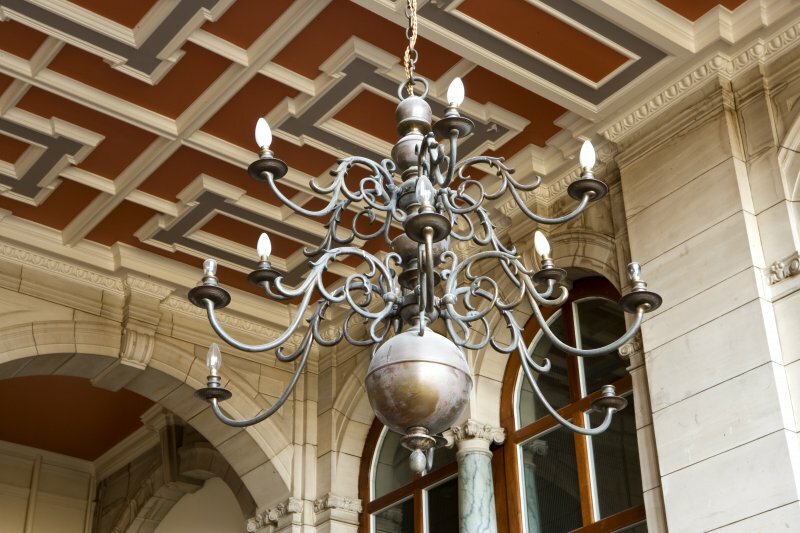 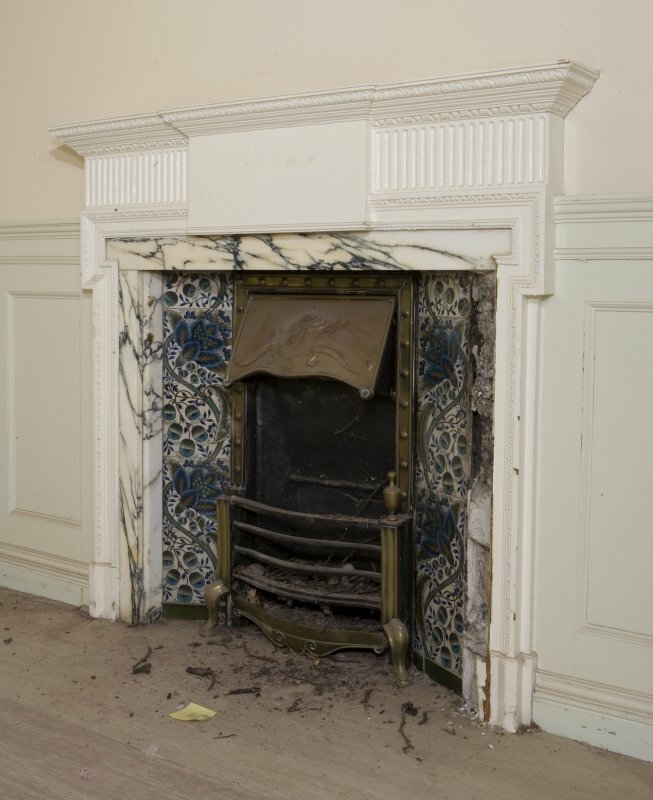 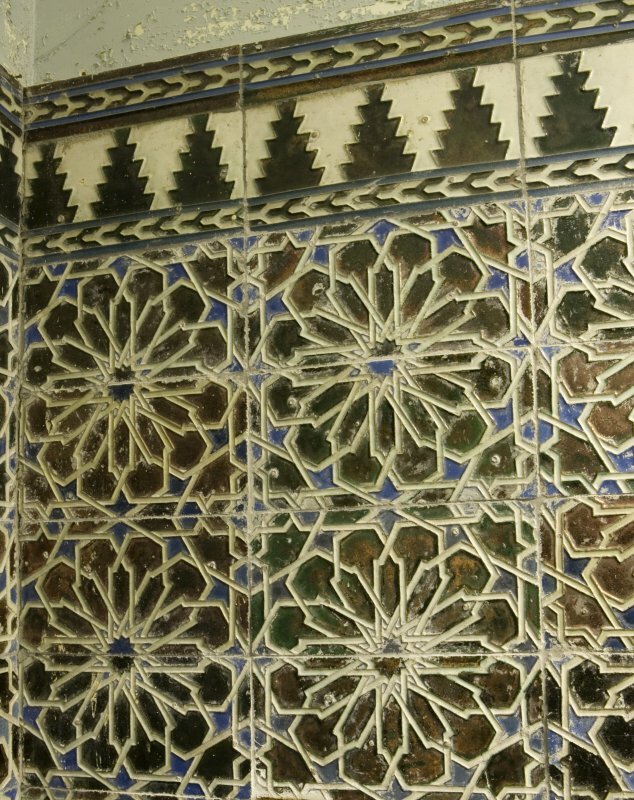 The other principal reception rooms have all been altered but many details survive such as light wells, tile work and fireplaces. 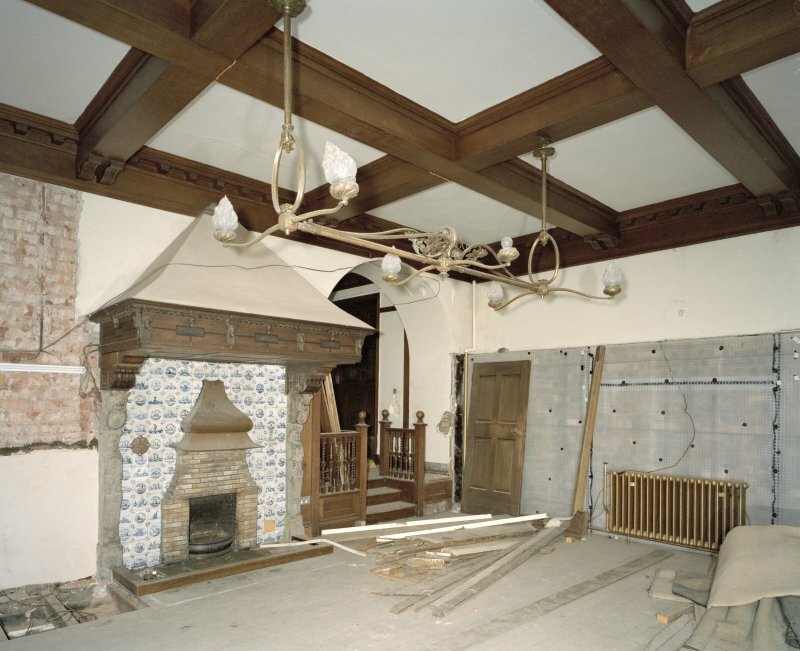 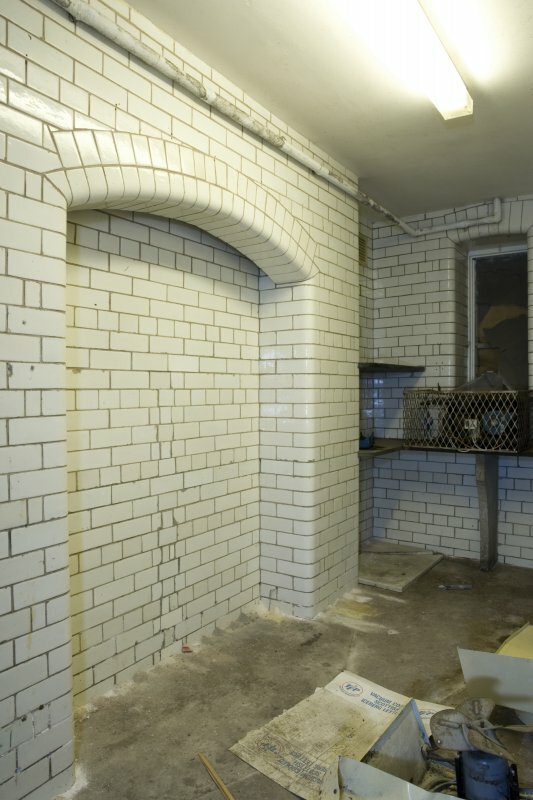 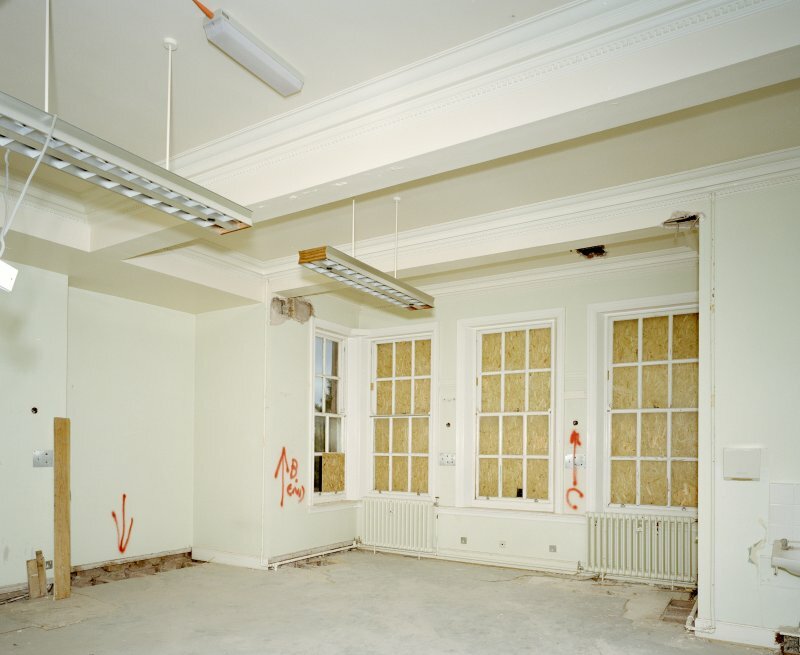 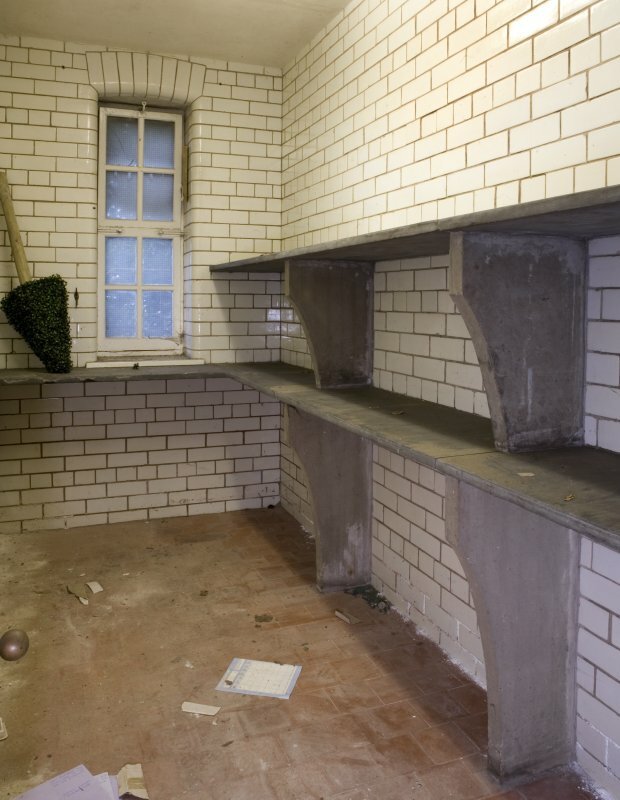 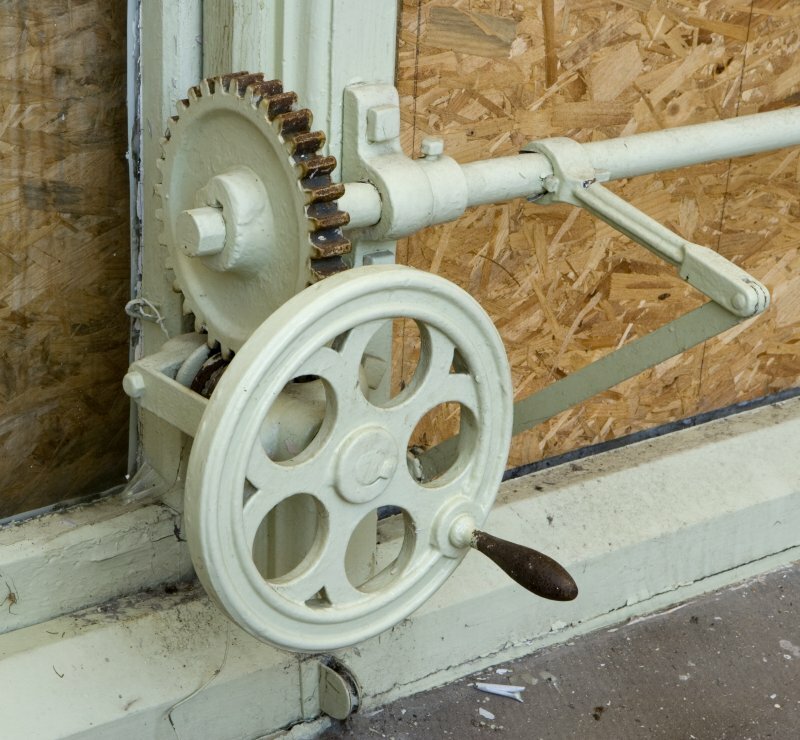 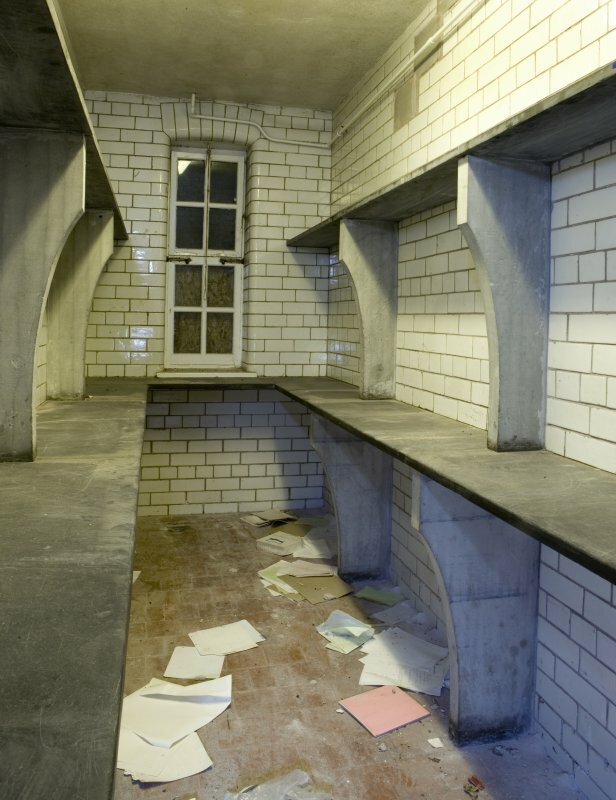 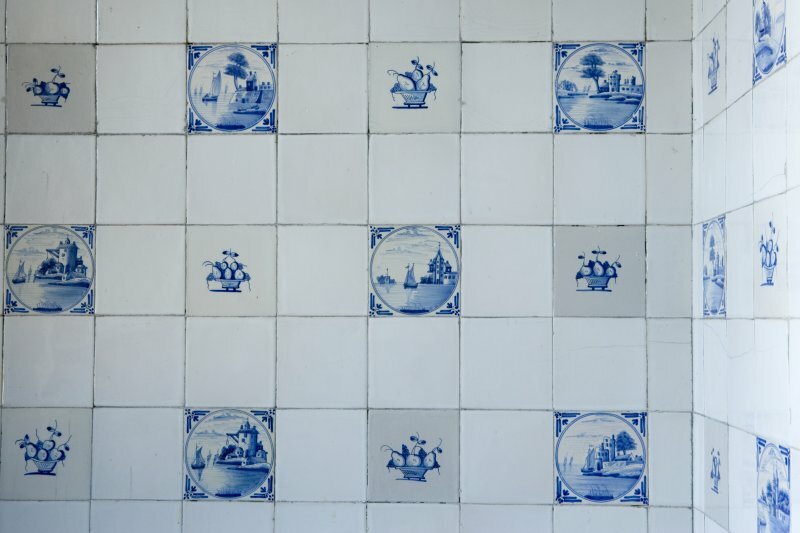 The billiard room on the lower floor retains all its fittings and although the service rooms have been altered the original layout survives along with some tiling and fitted cupboards.